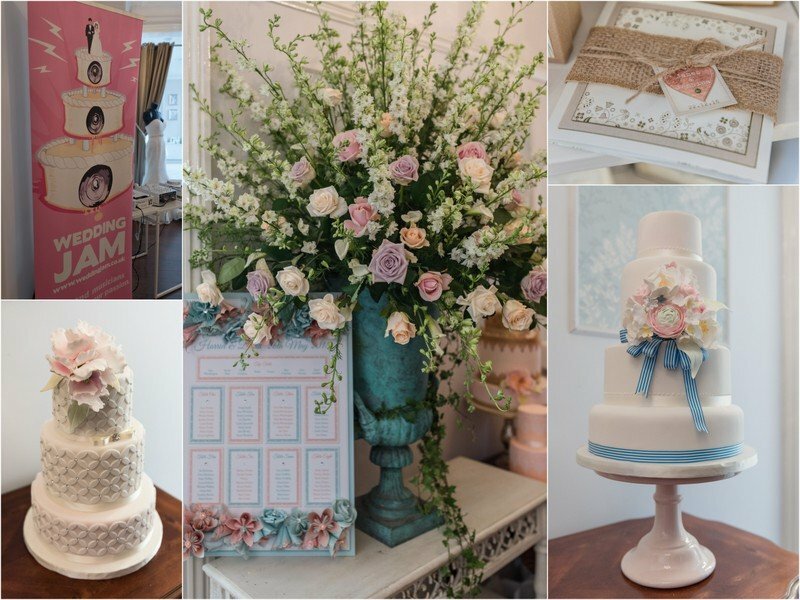 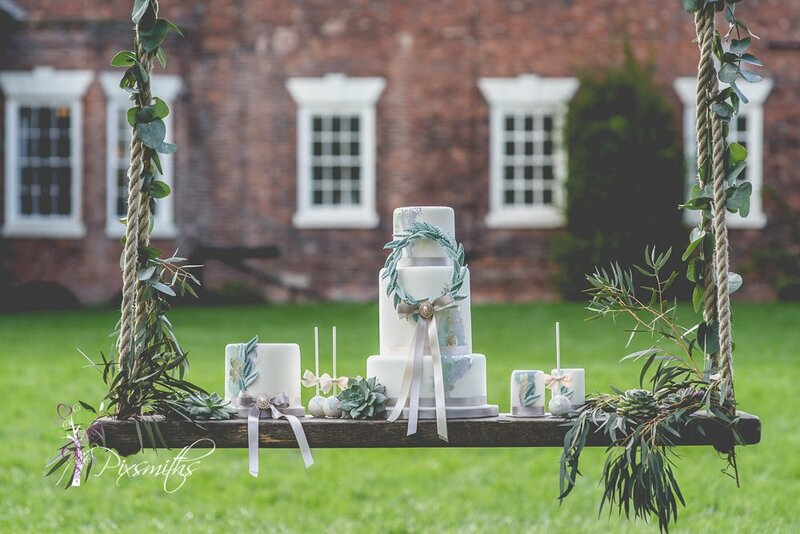 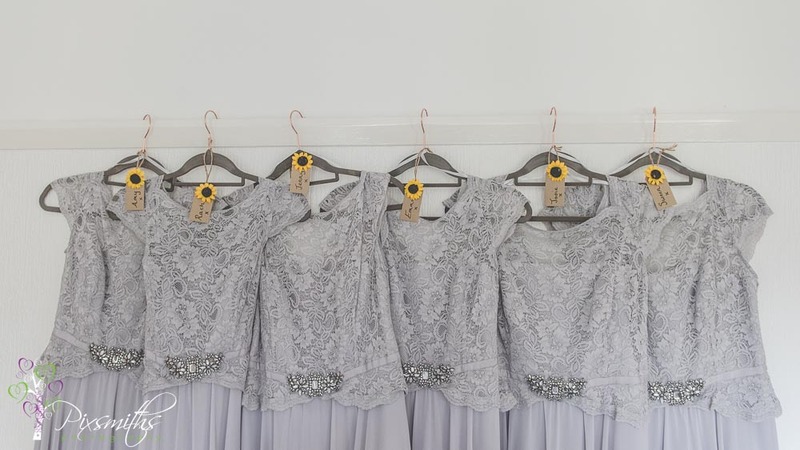 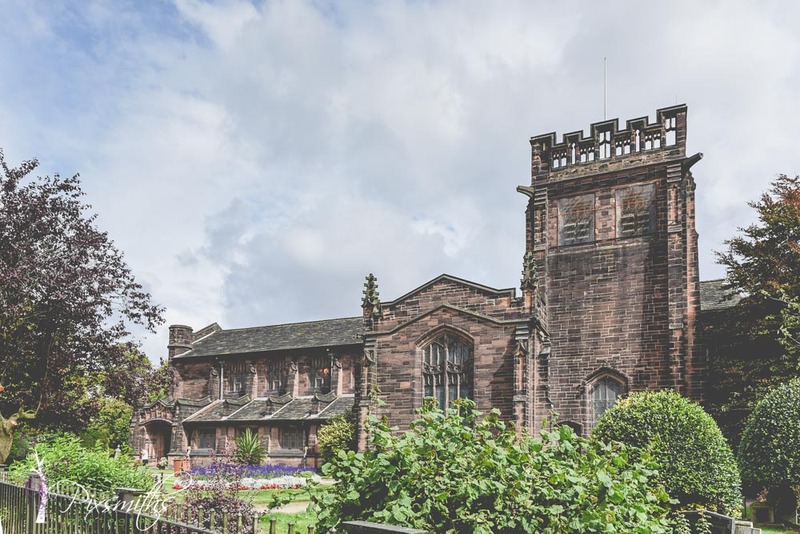 The collaboration shoots with The Blue Orchid Boutique and The Wirral Wedding House are going from strength to strength. 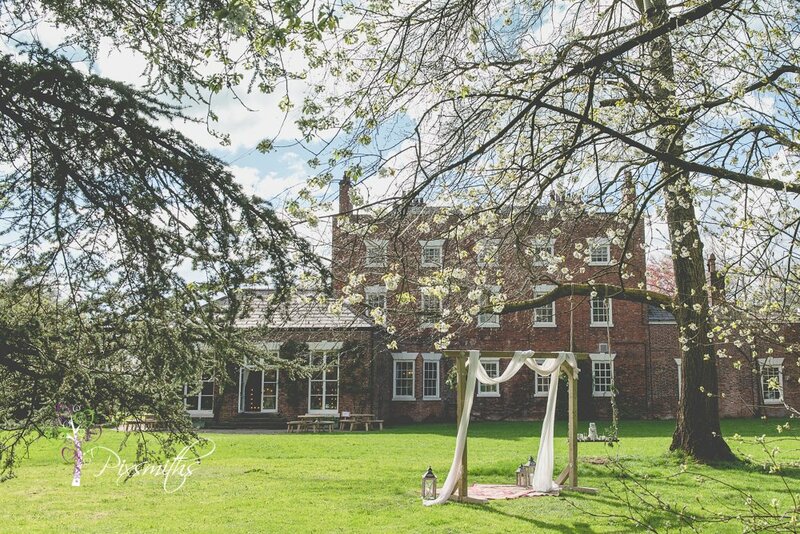 Here we are at the wonderful Rowton Hall Hotel, Chester. 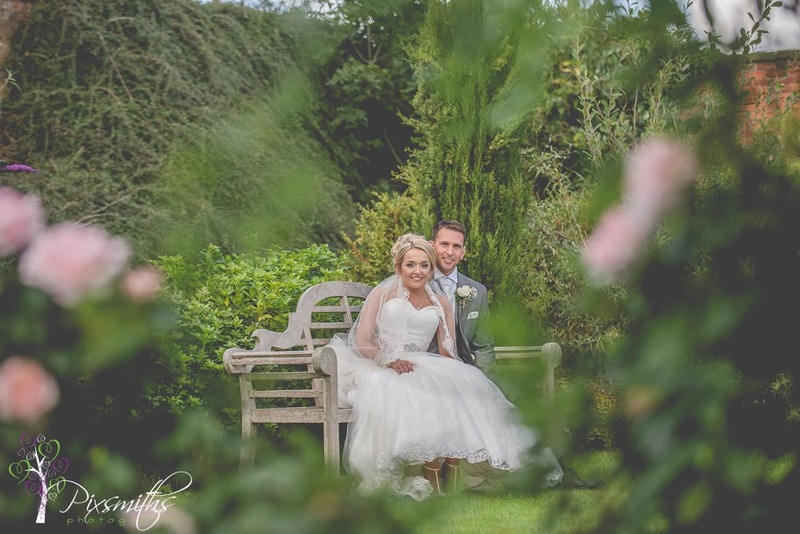 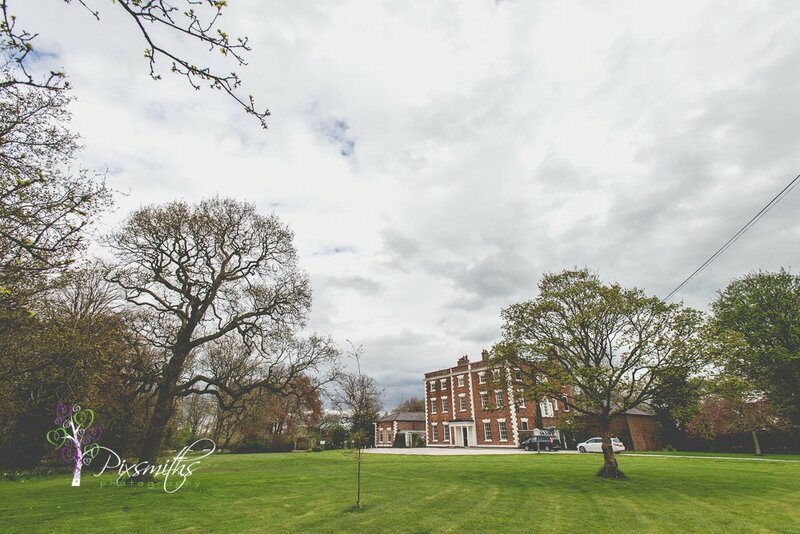 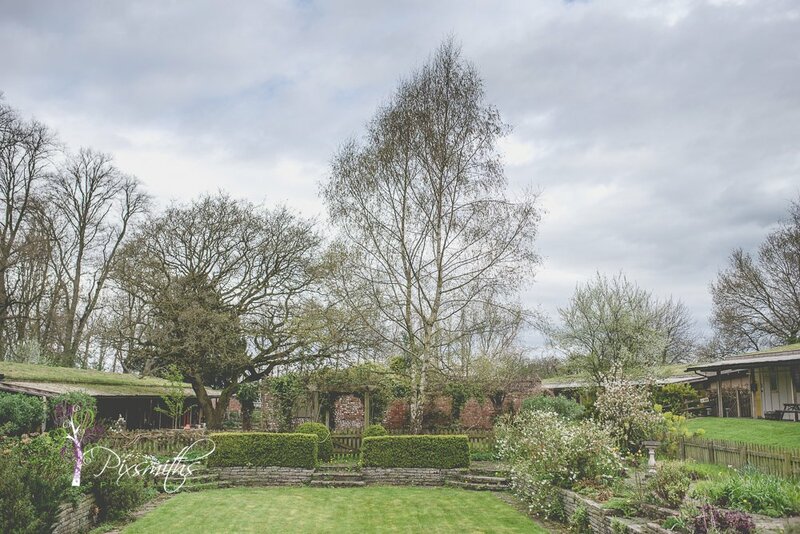 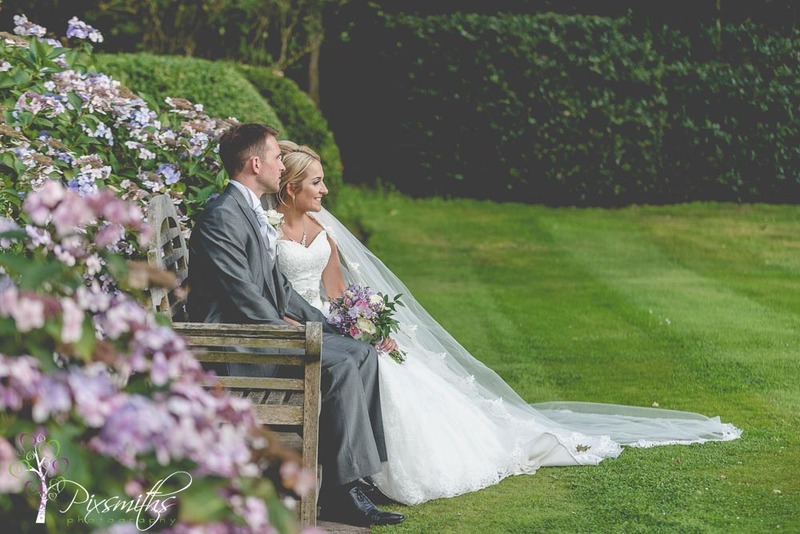 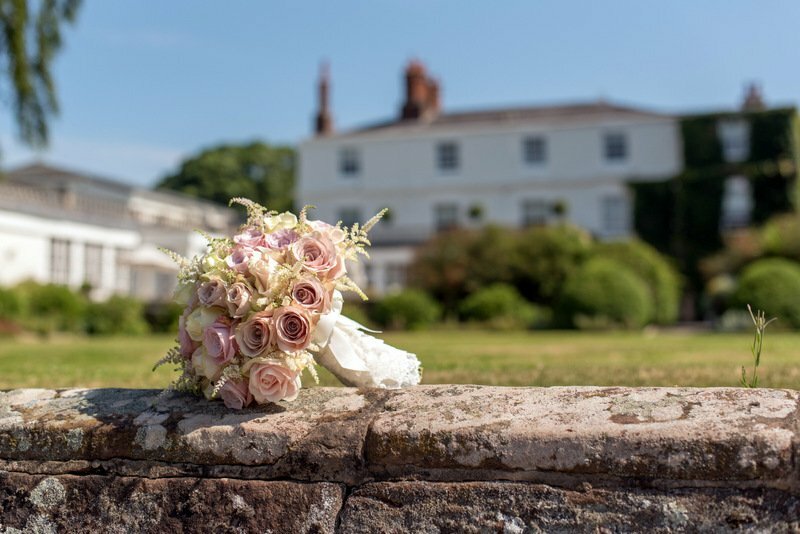 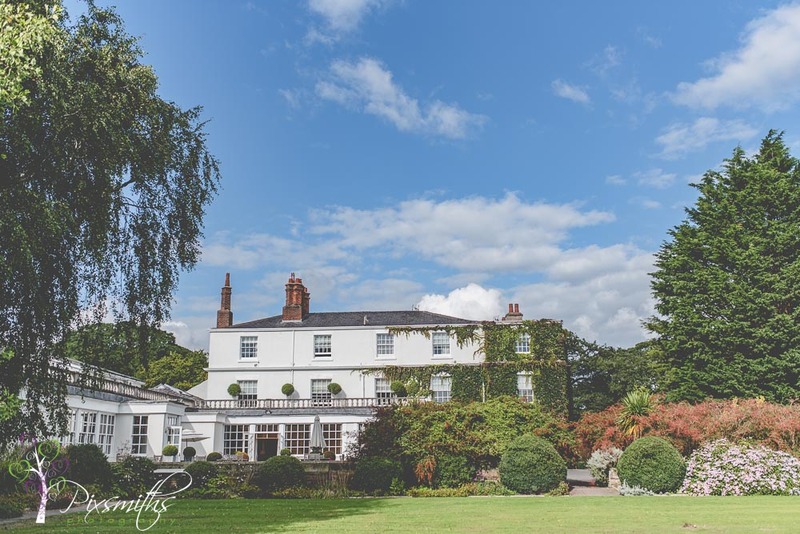 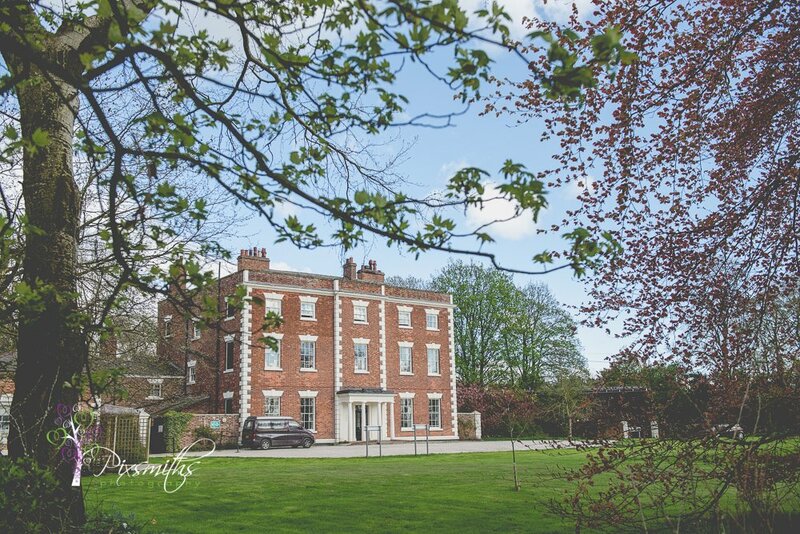 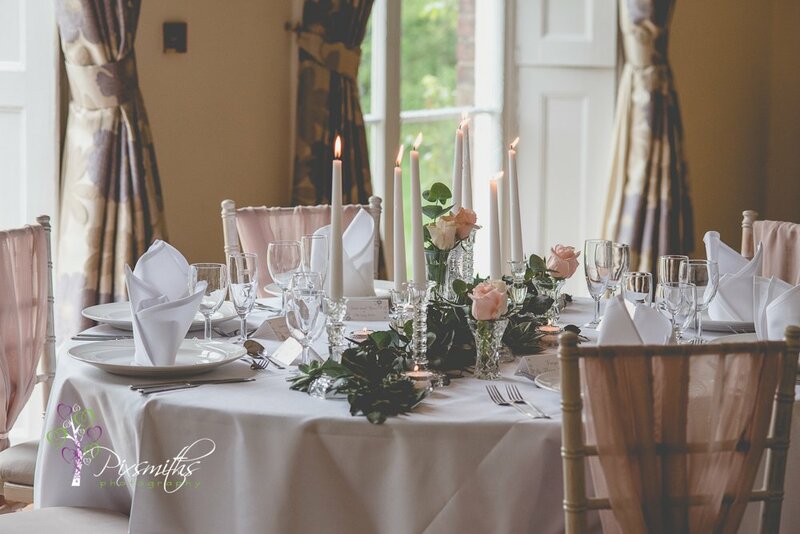 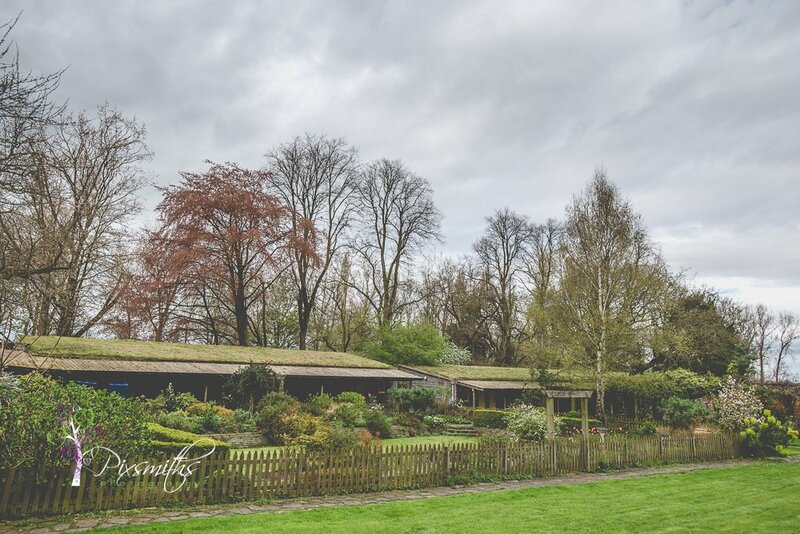 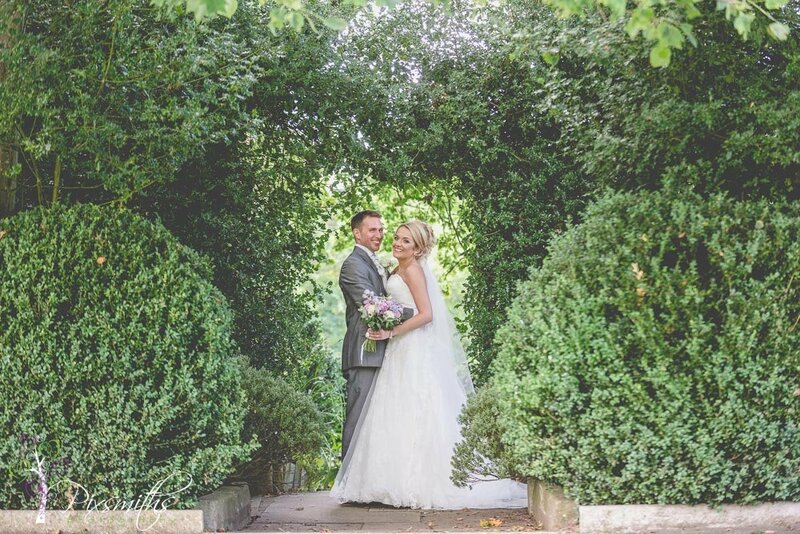 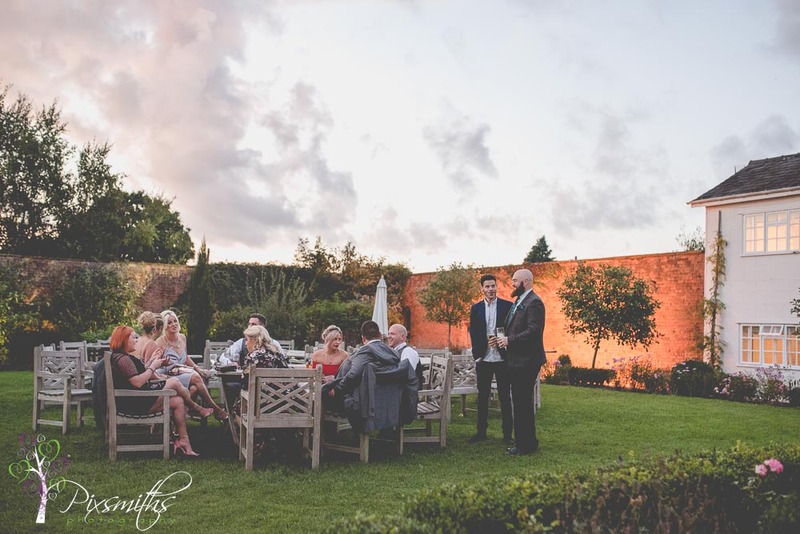 One of our favourite wedding venues, a beautiful elegant country hotel with landscaped gardens to enjoy the outdoors in. 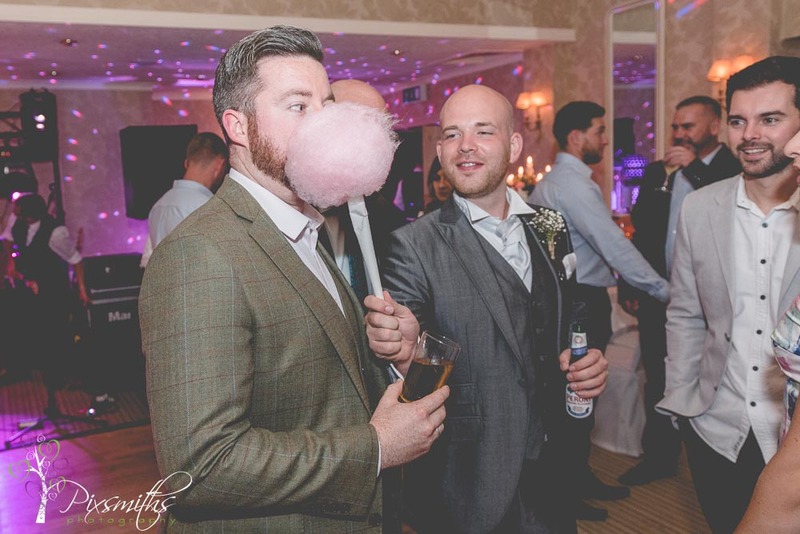 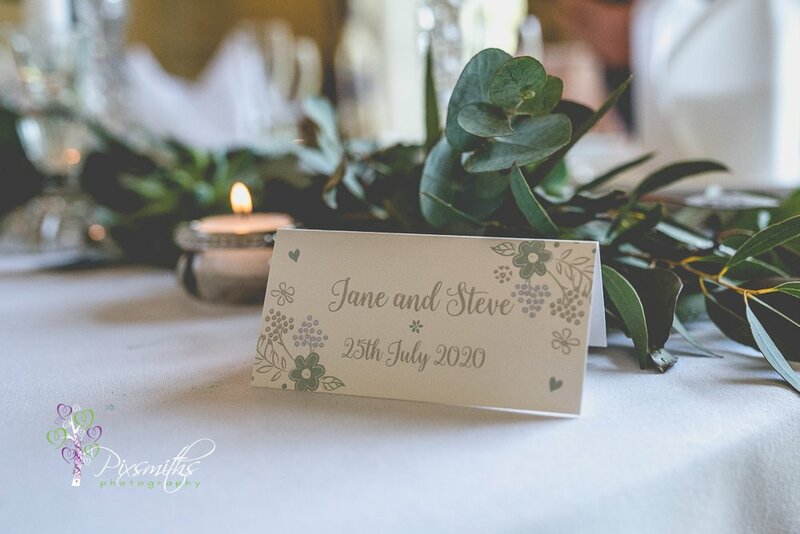 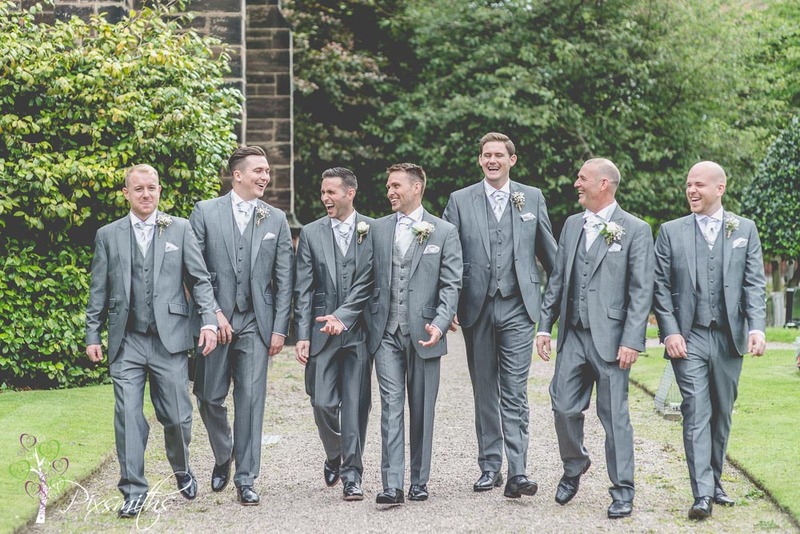 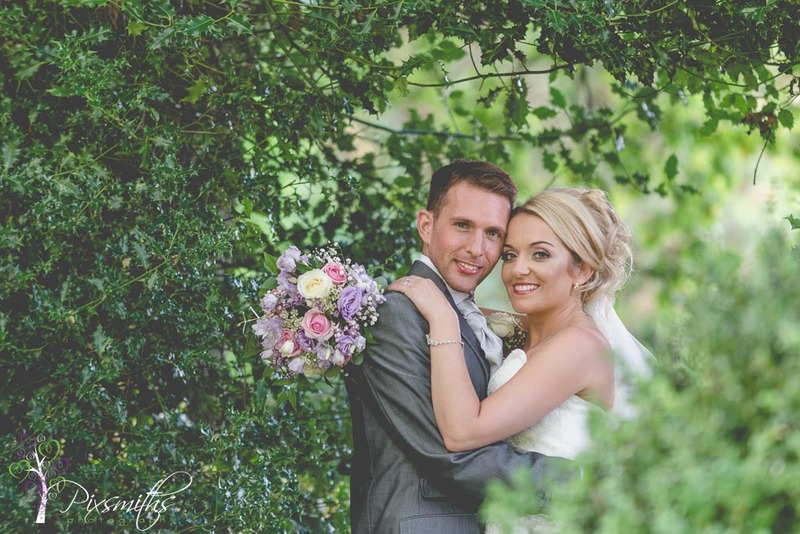 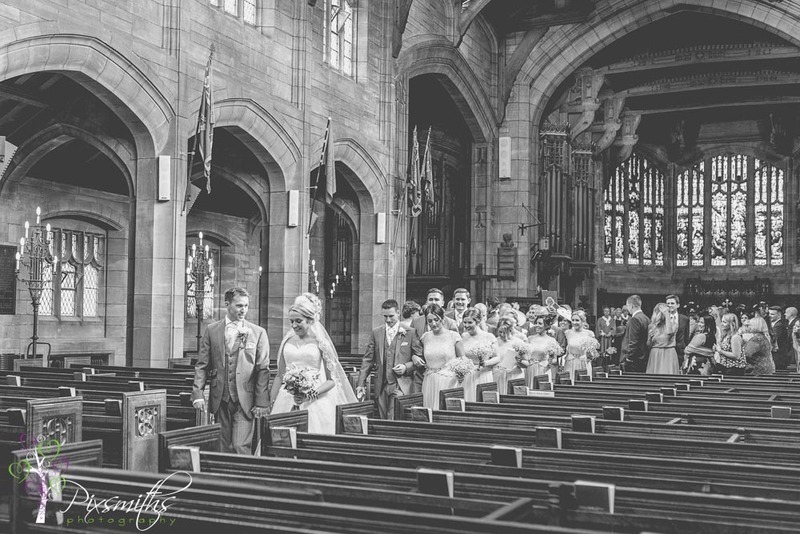 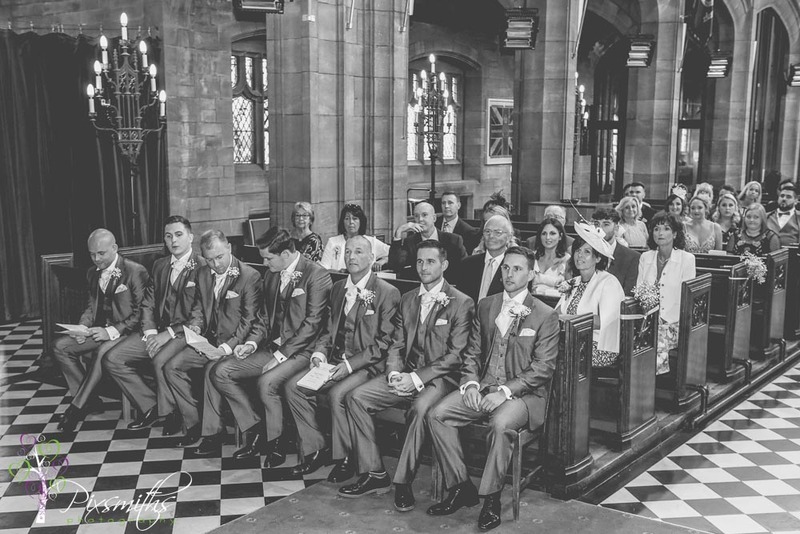 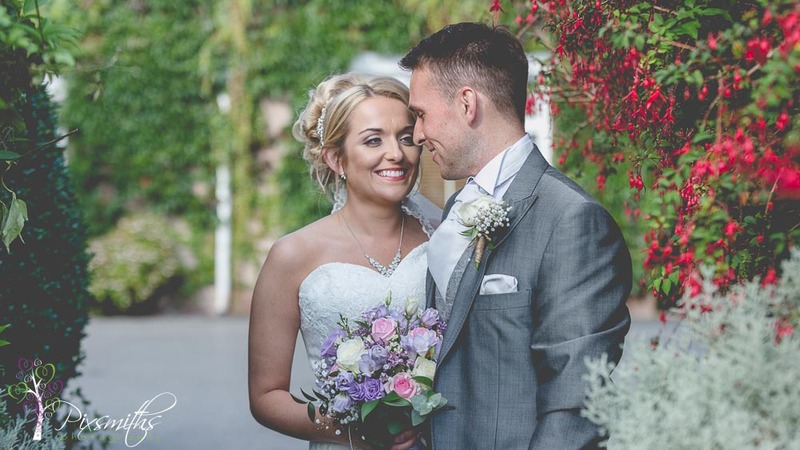 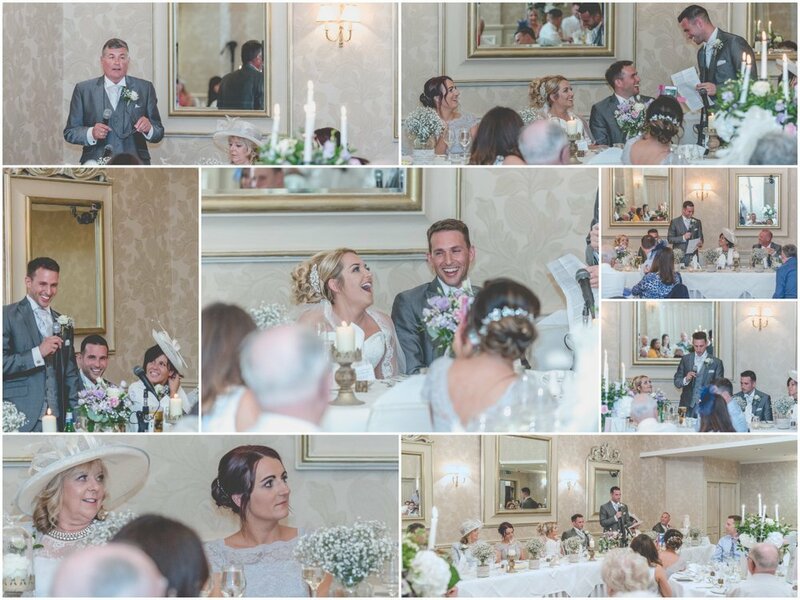 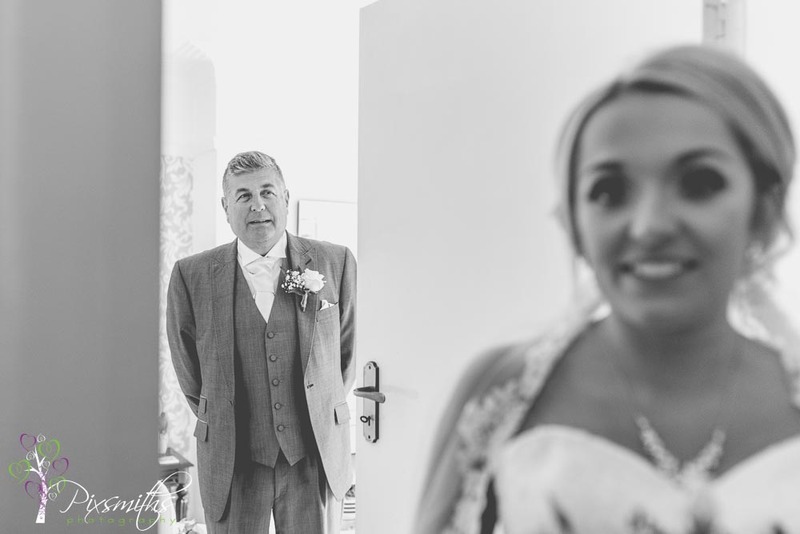 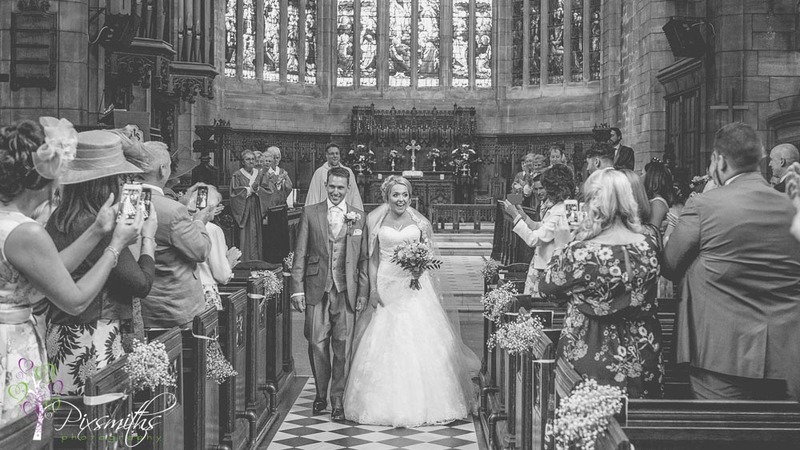 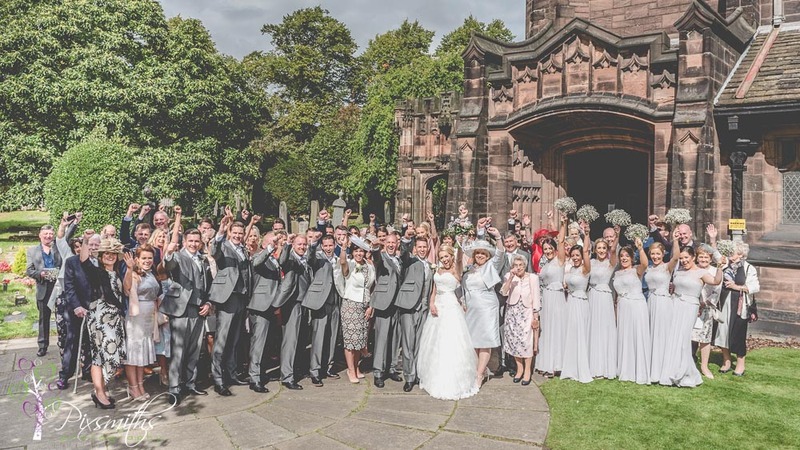 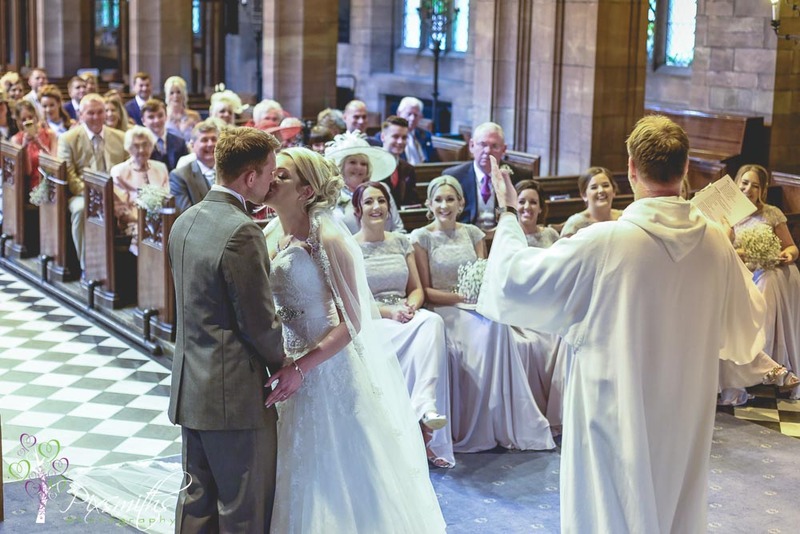 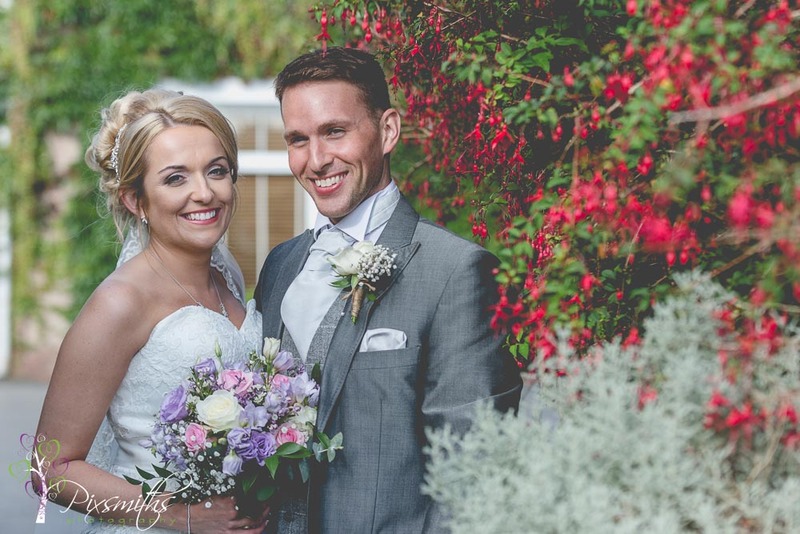 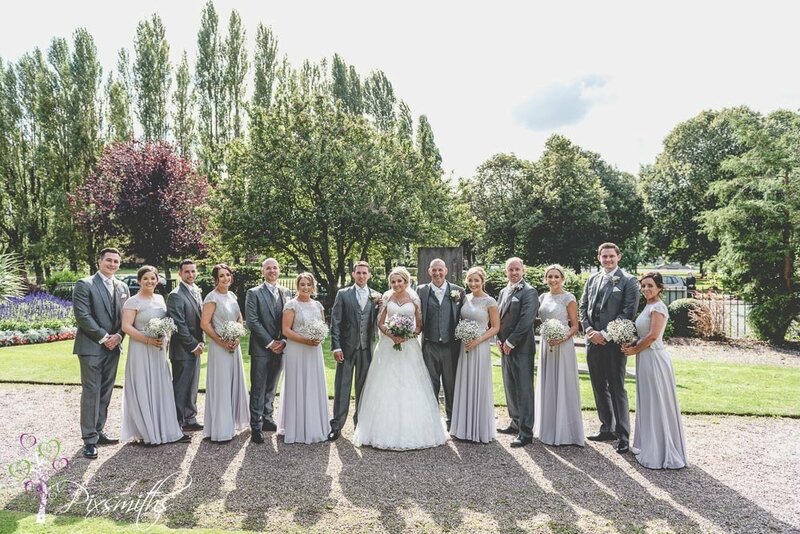 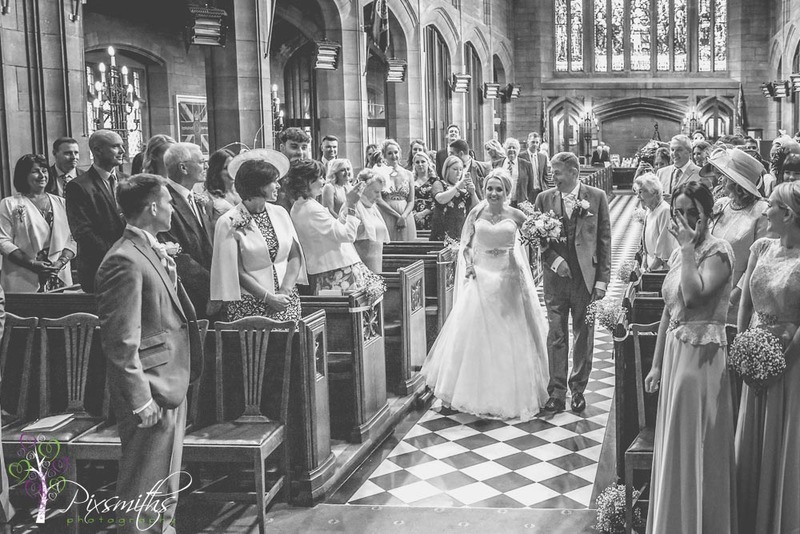 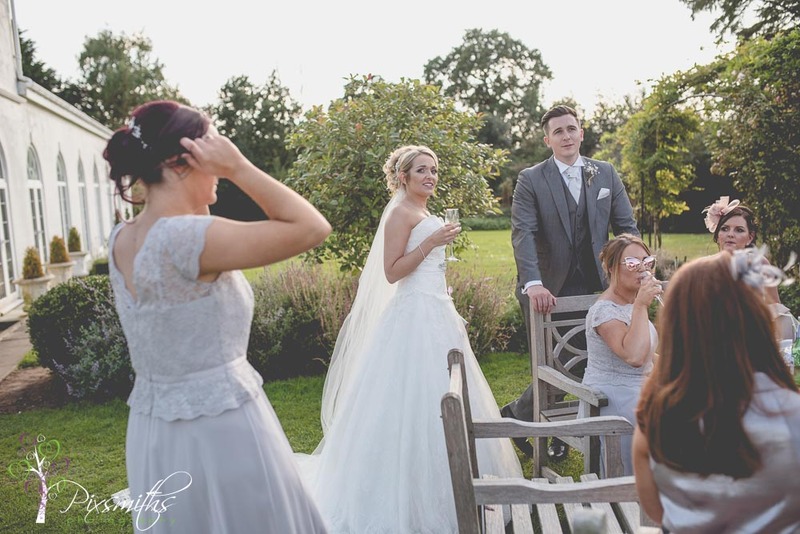 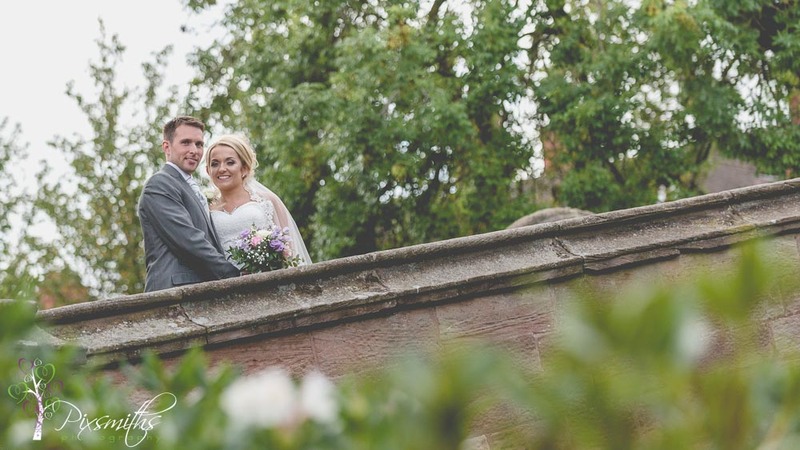 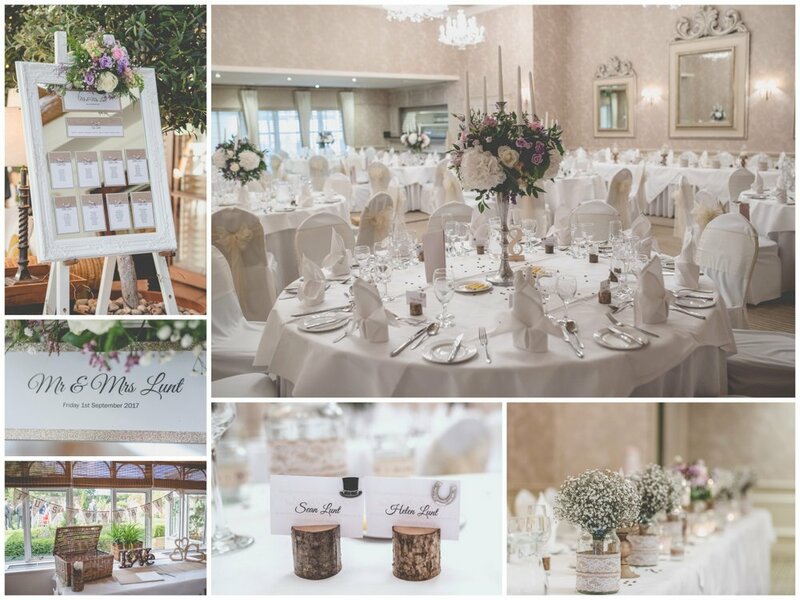 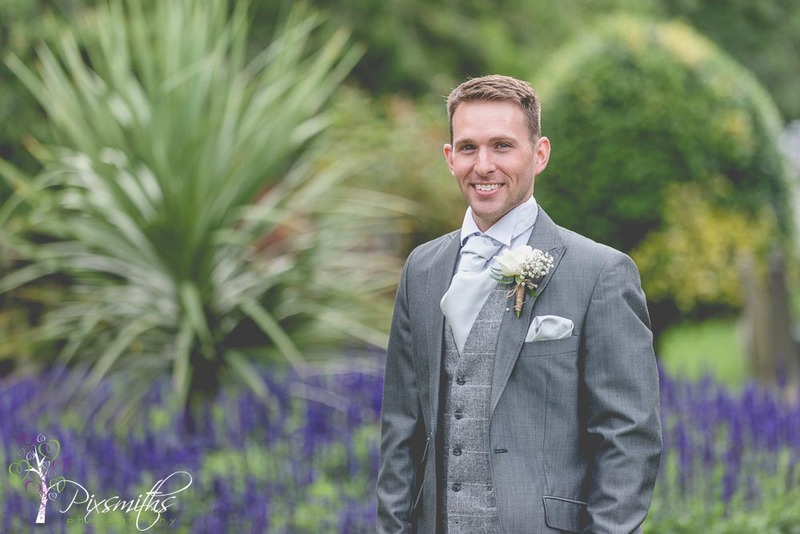 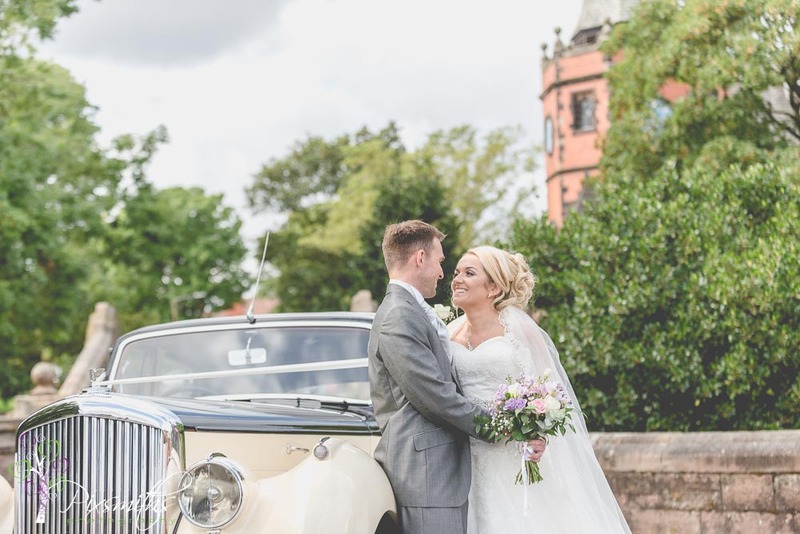 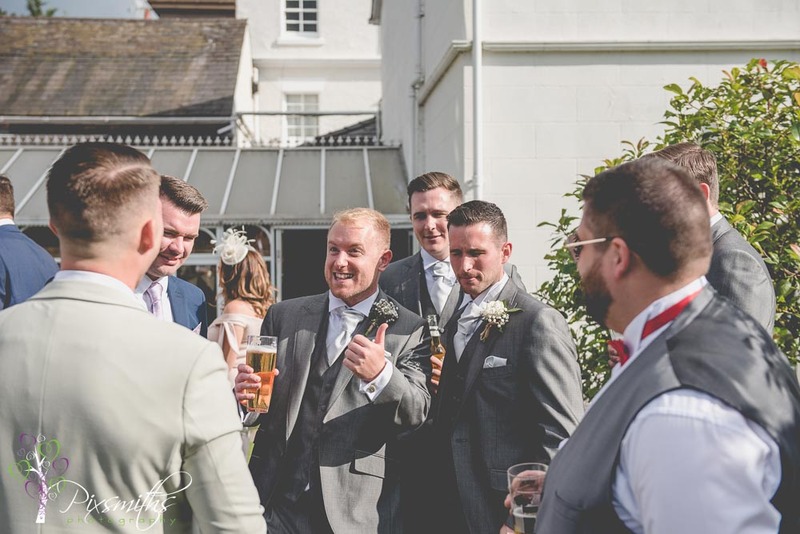 We were here recently for Lauren and Craig’s real life wedding – also with some of our Blue Orchid Suppliers. 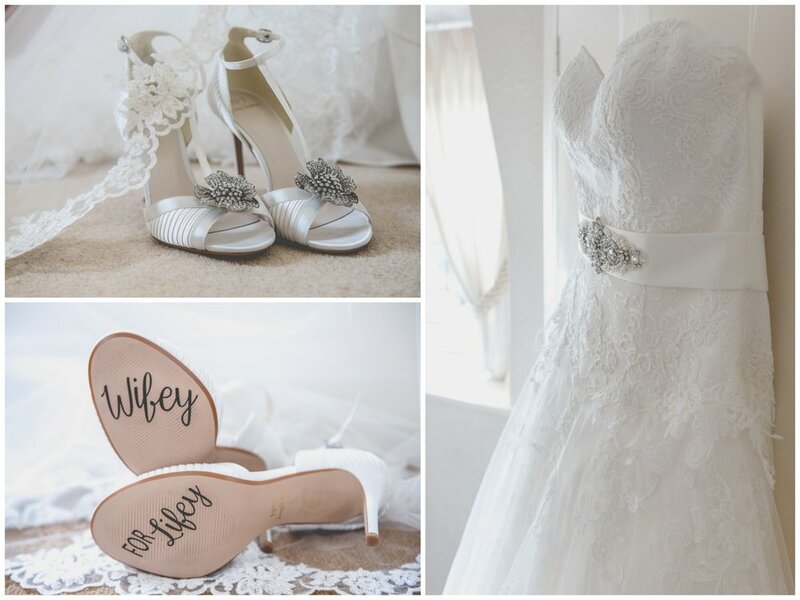 The theme for this shoot was neutral and lace, a contrast to our last one with its bright colours. 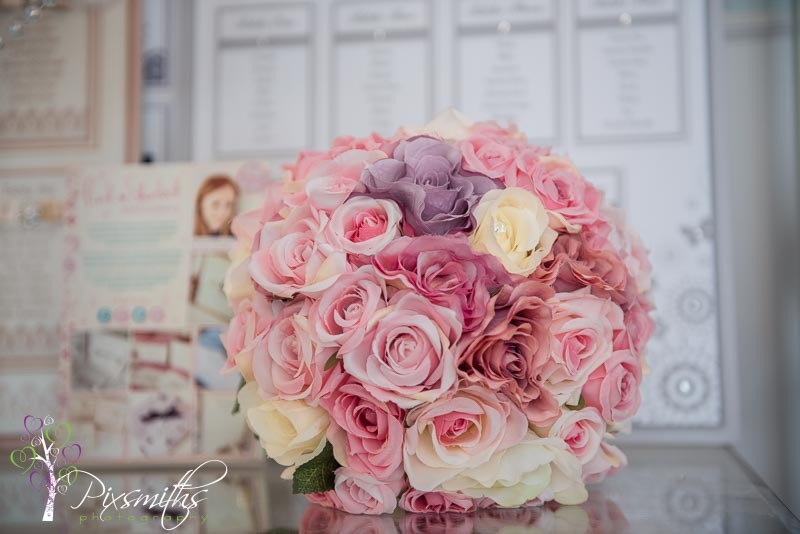 Just look what was created by our fabulous team! 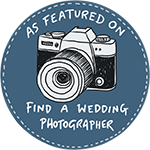 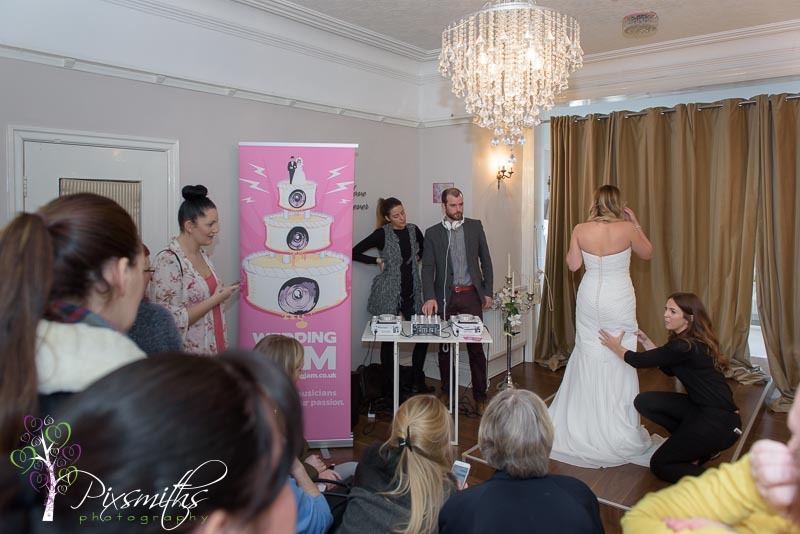 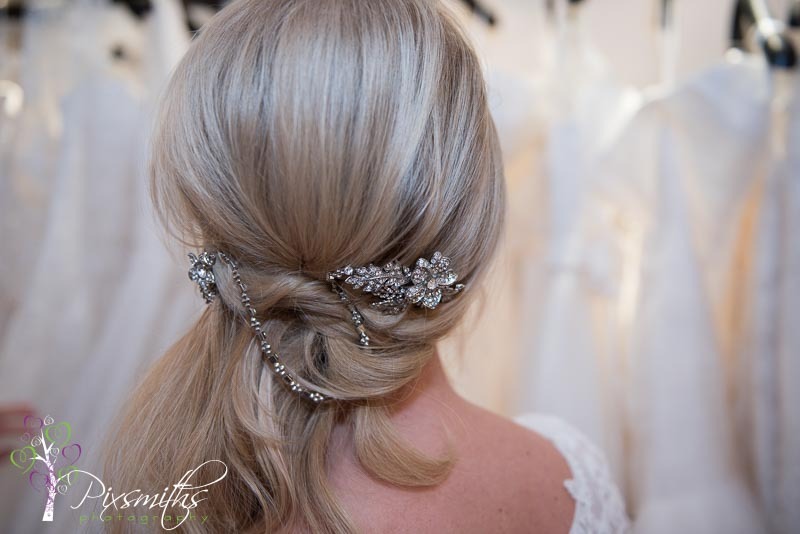 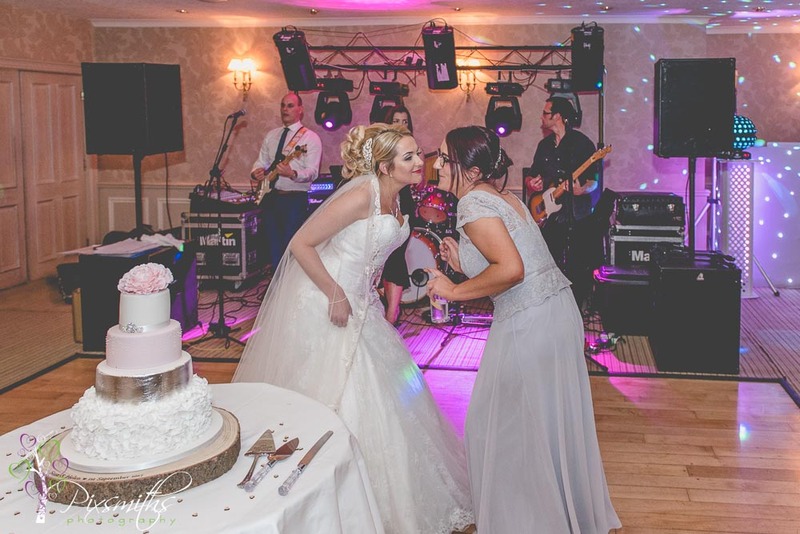 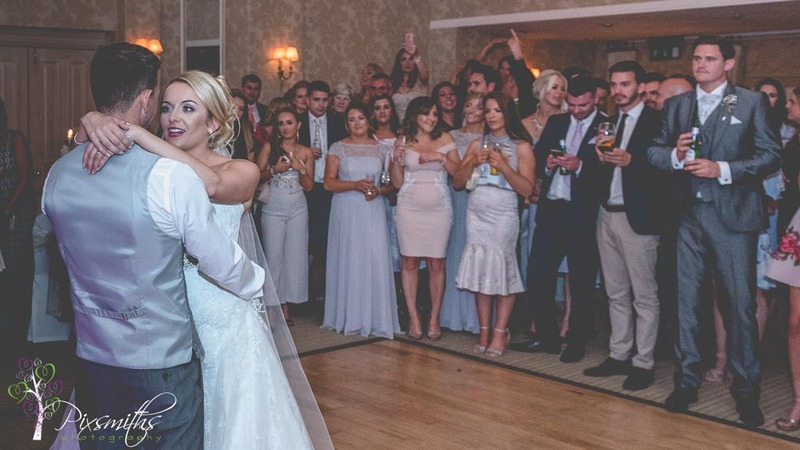 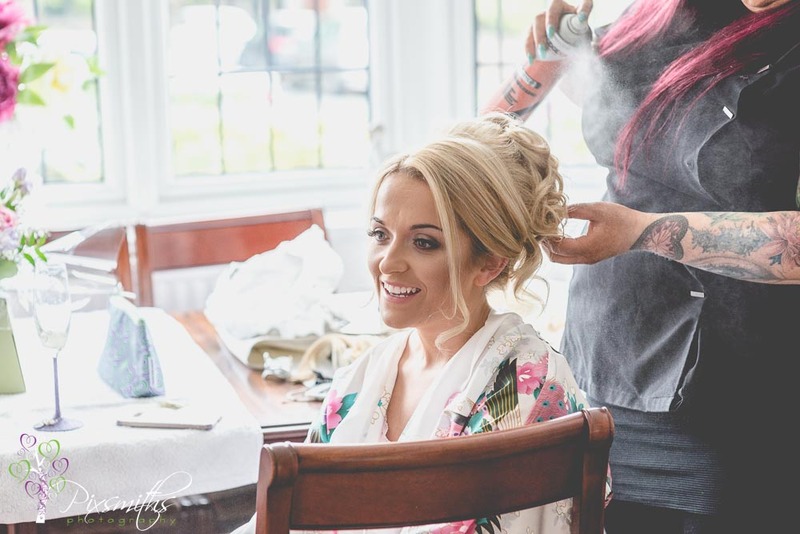 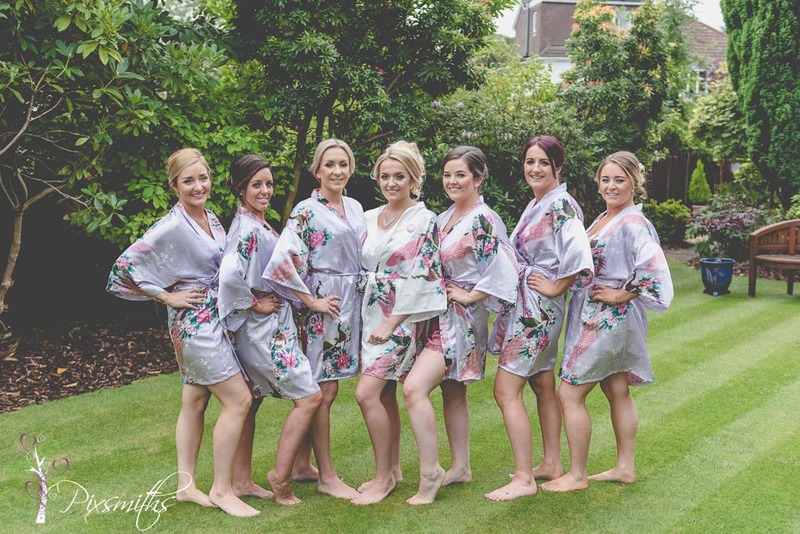 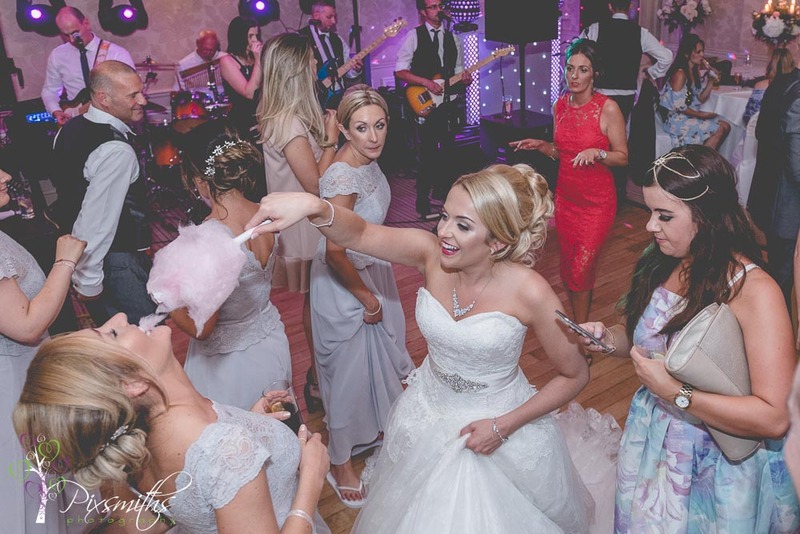 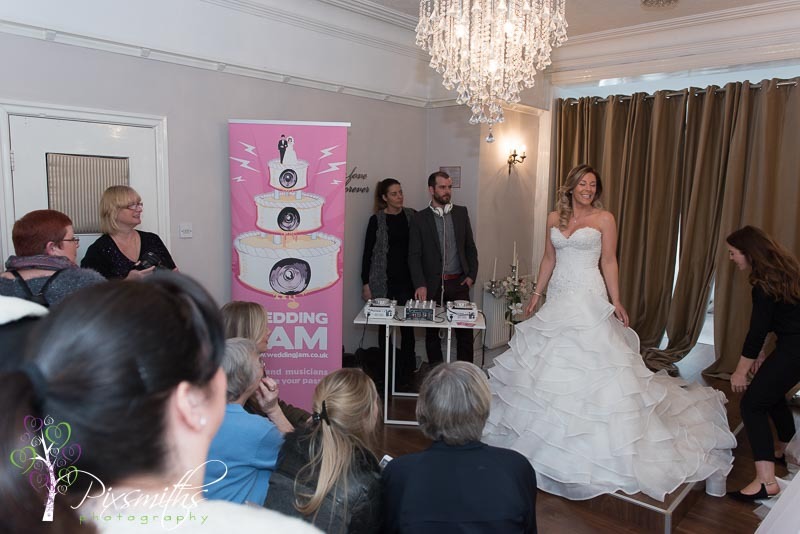 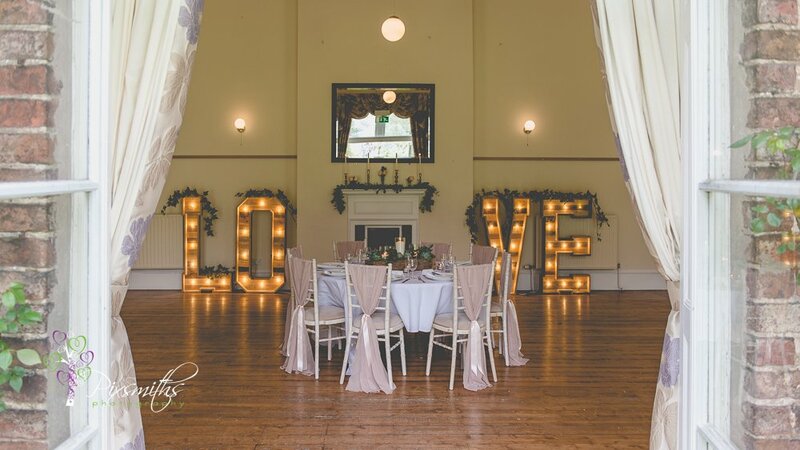 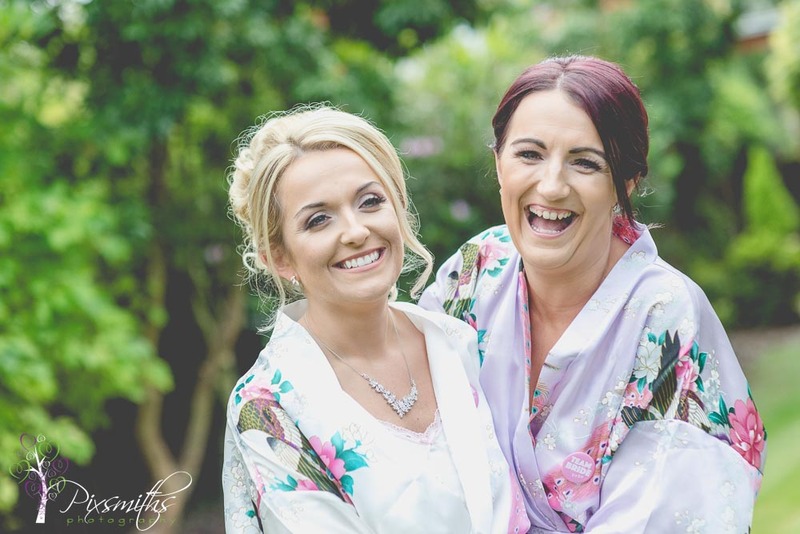 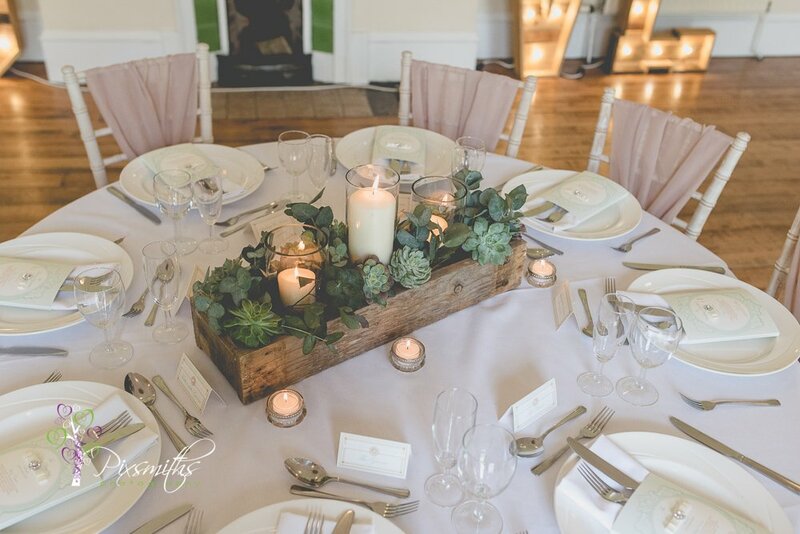 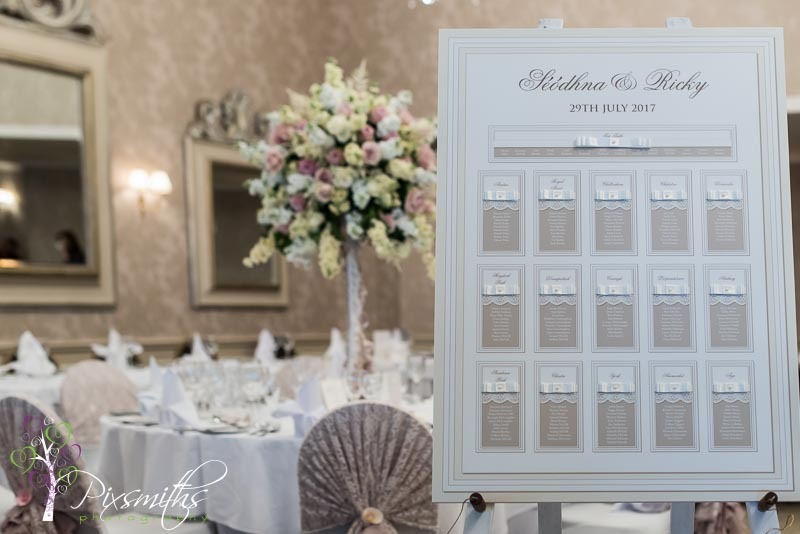 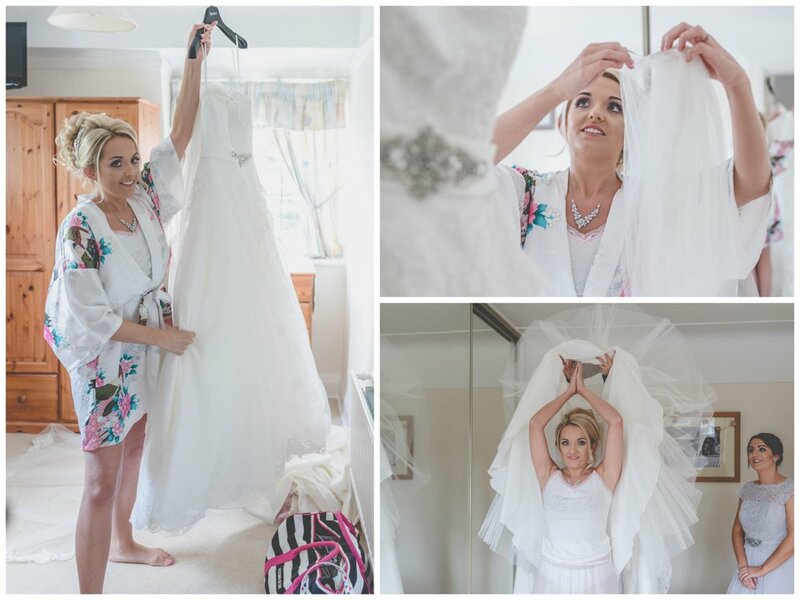 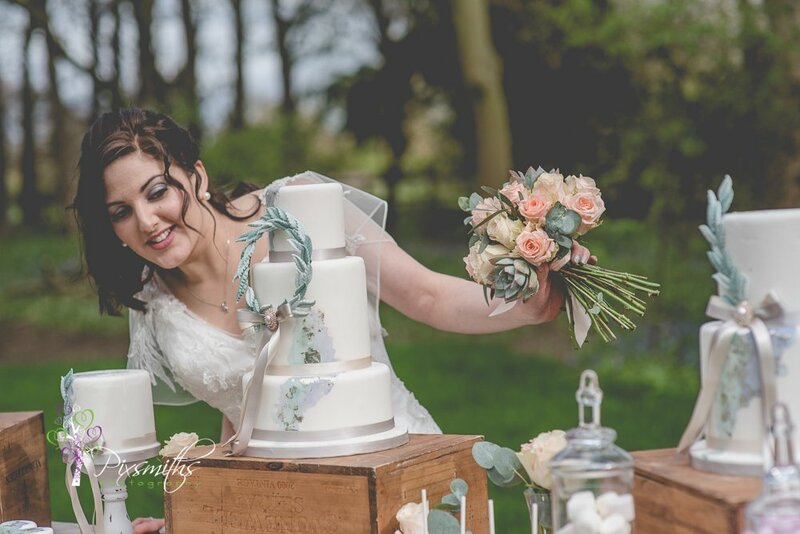 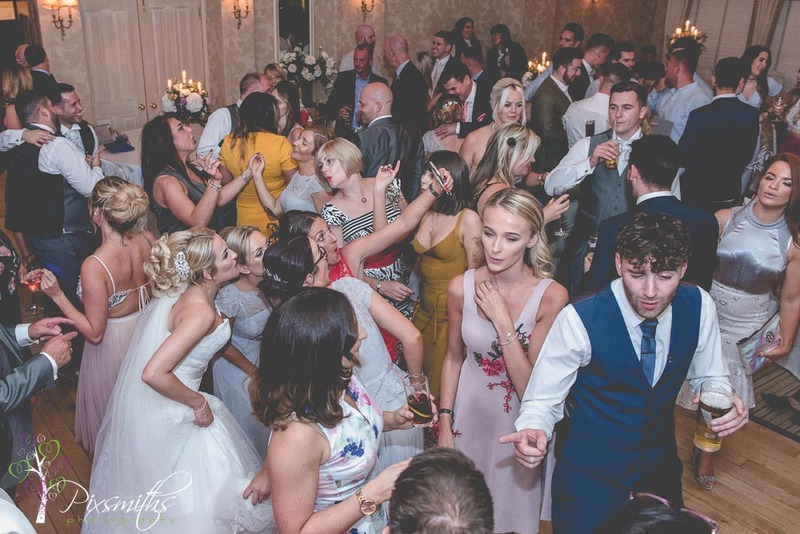 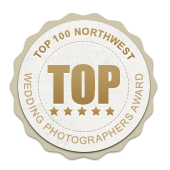 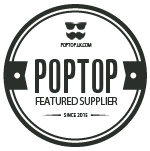 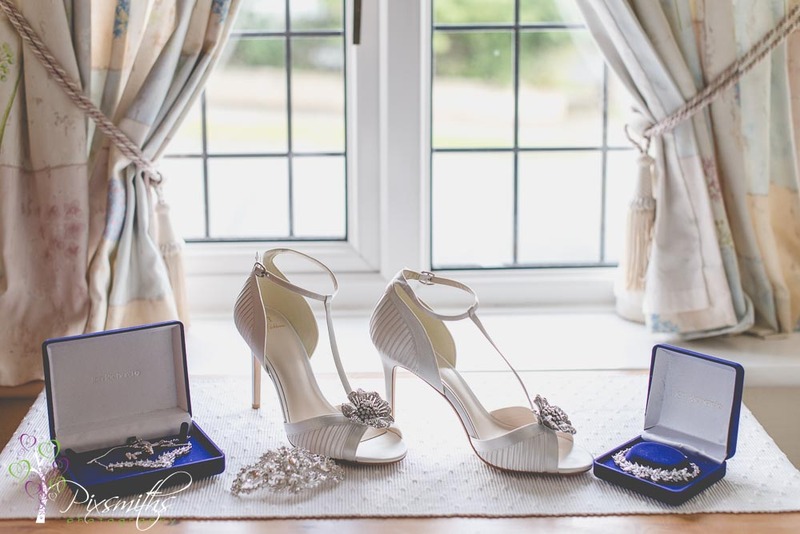 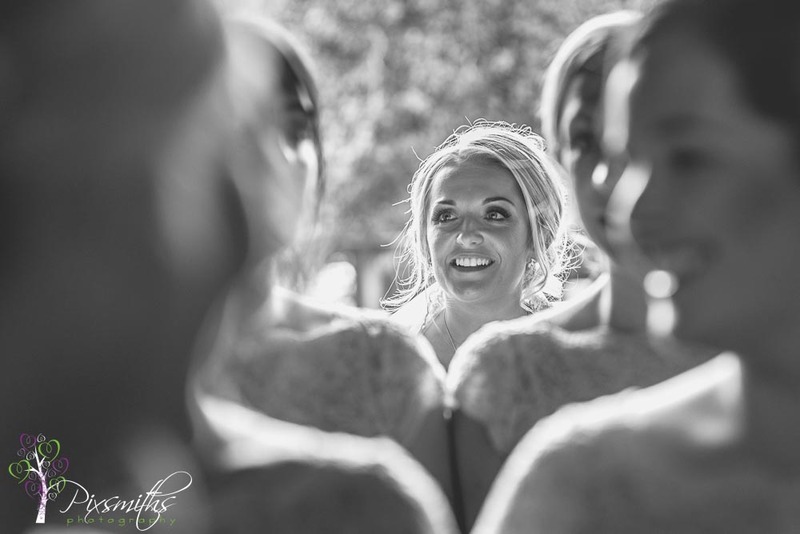 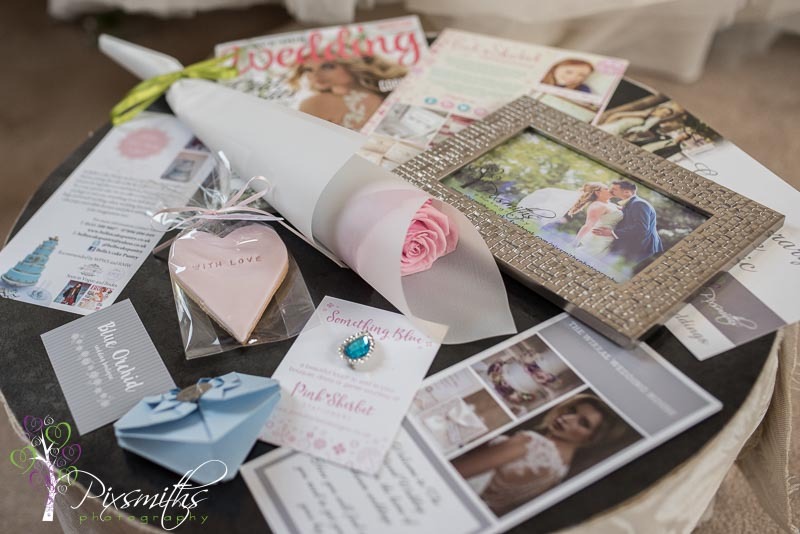 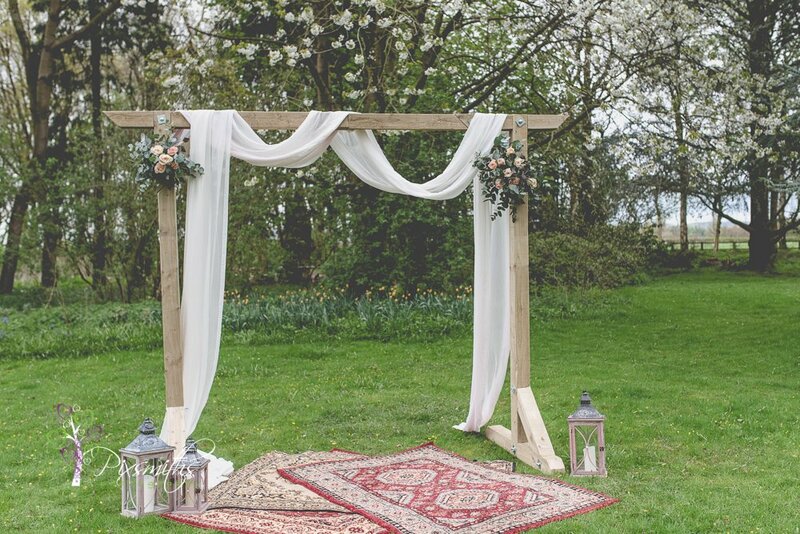 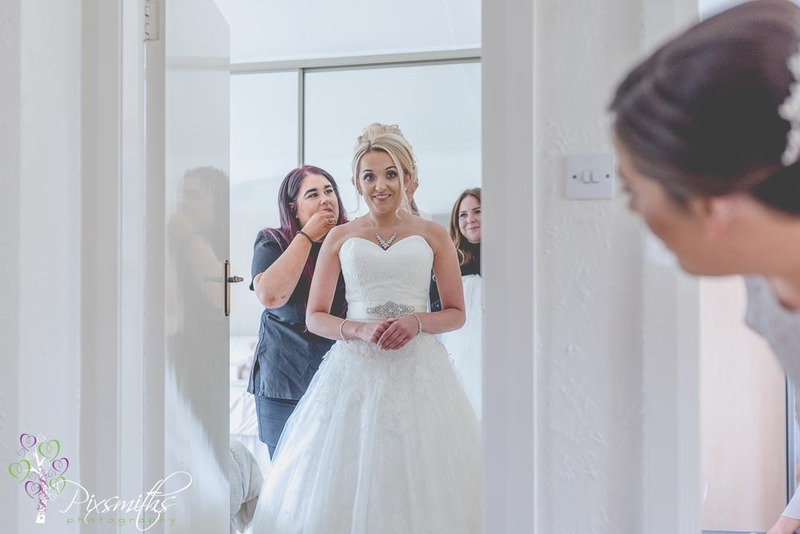 This really is a tremendous example of how we can inspire each other and you as a bride to be for a wedding theme and see it all come together beautifully from like-minded quality suppliers. 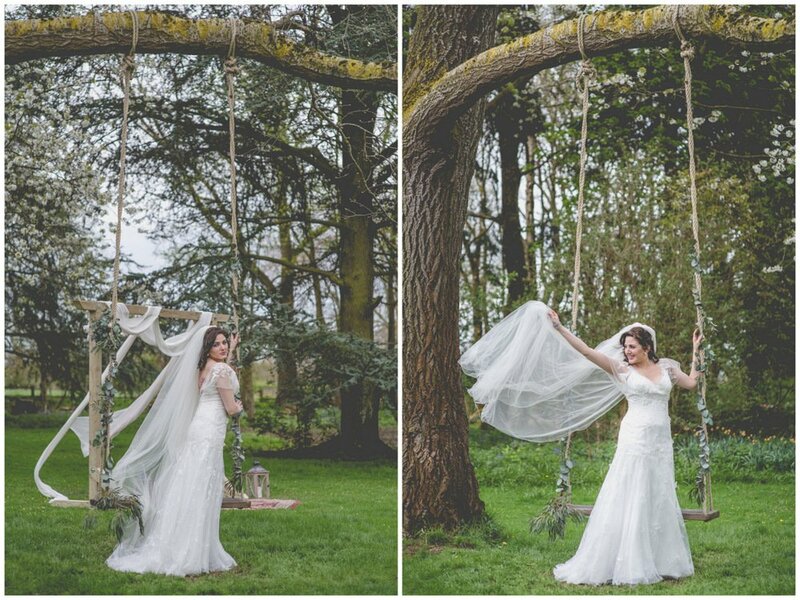 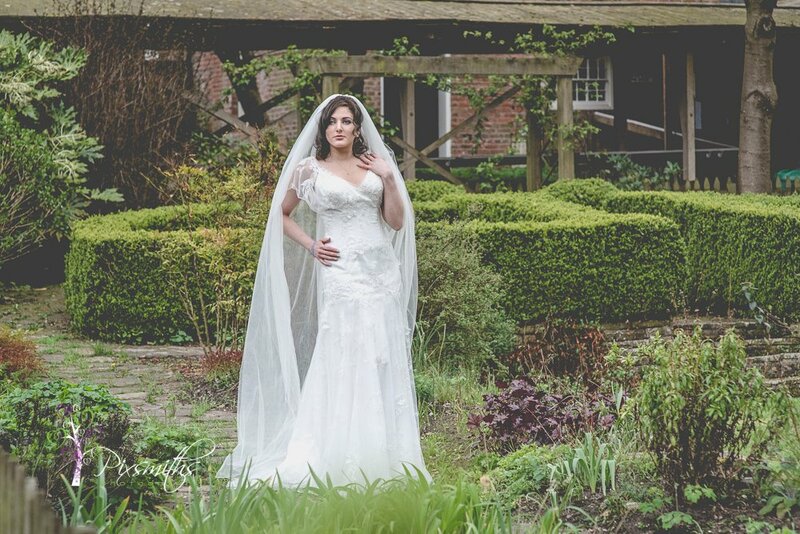 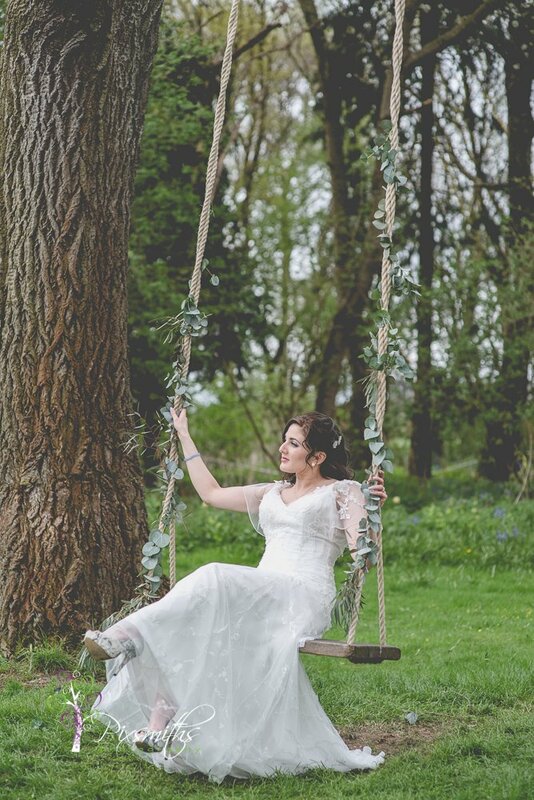 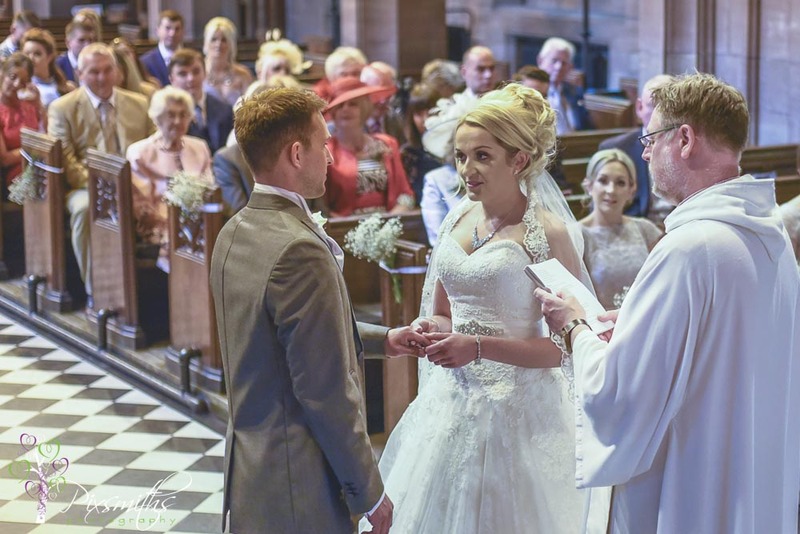 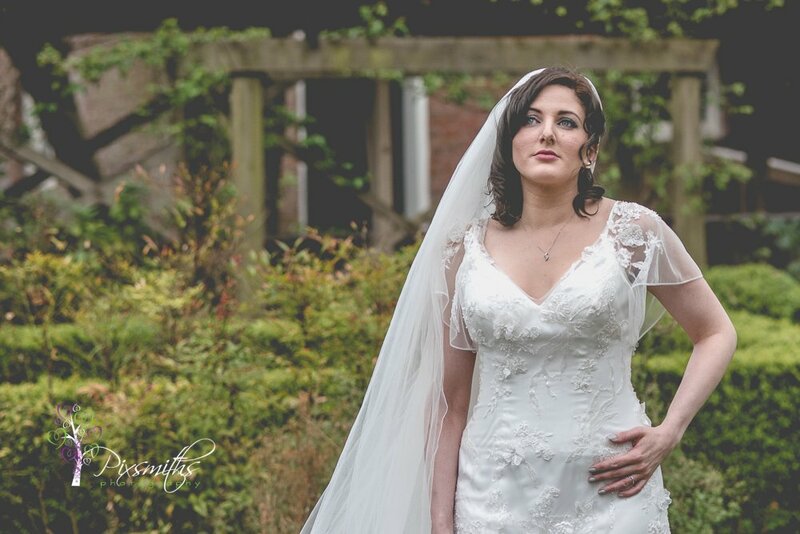 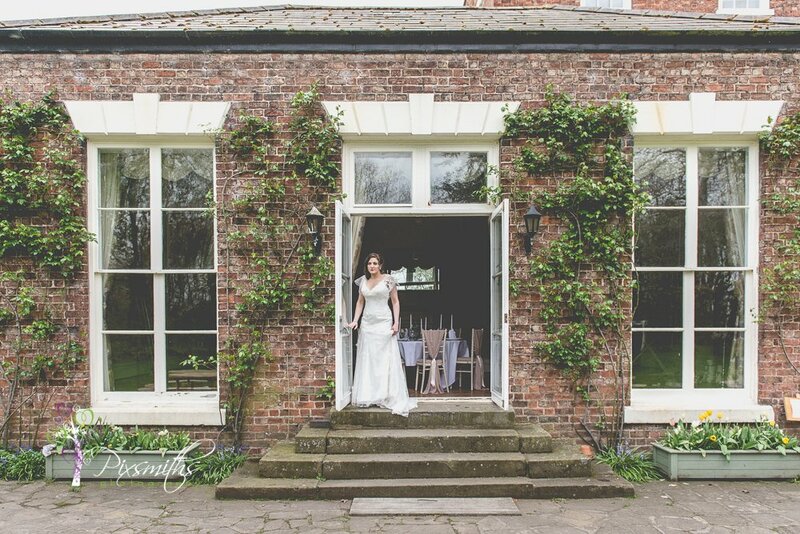 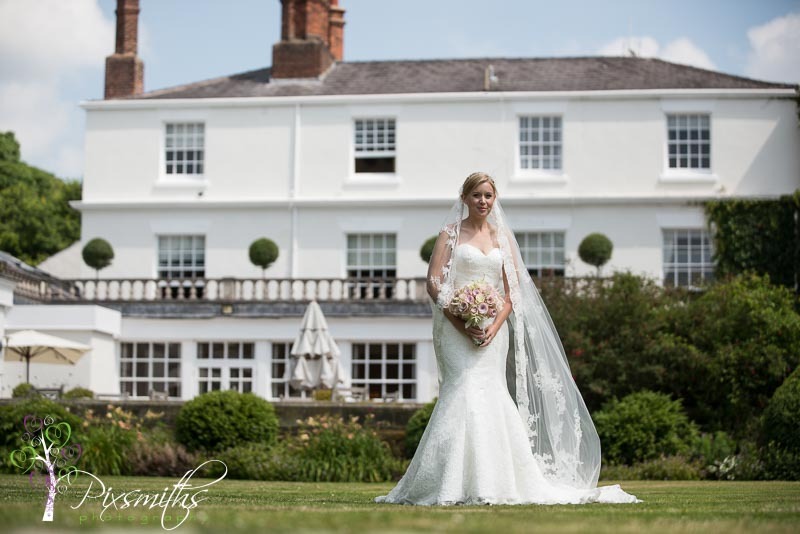 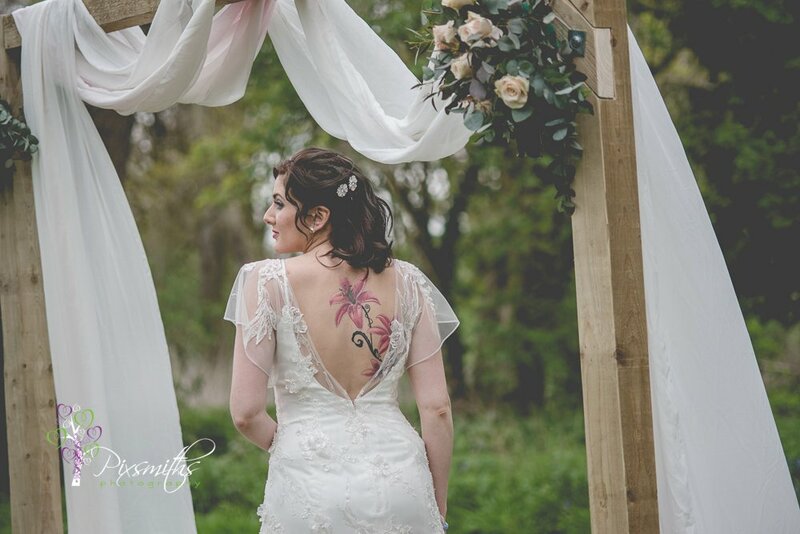 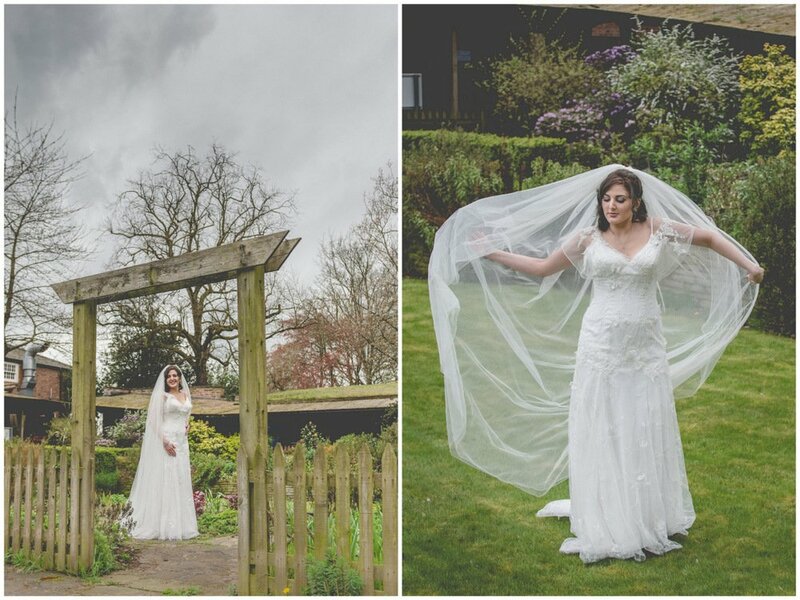 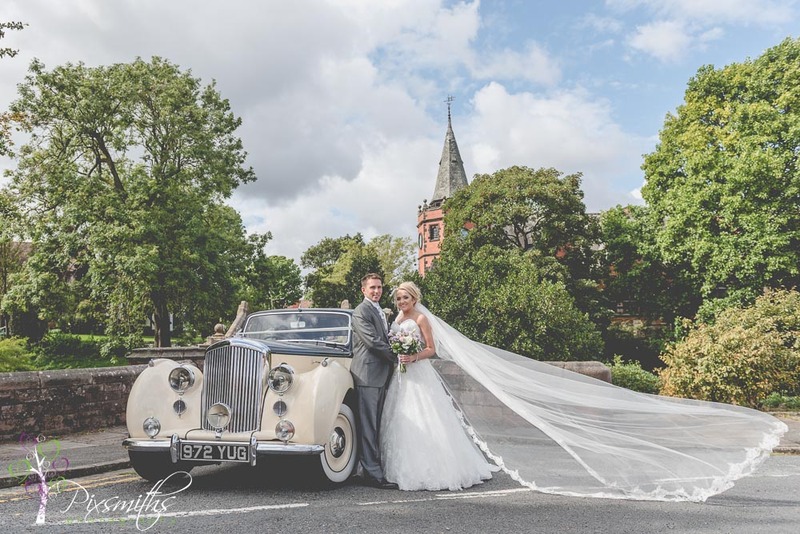 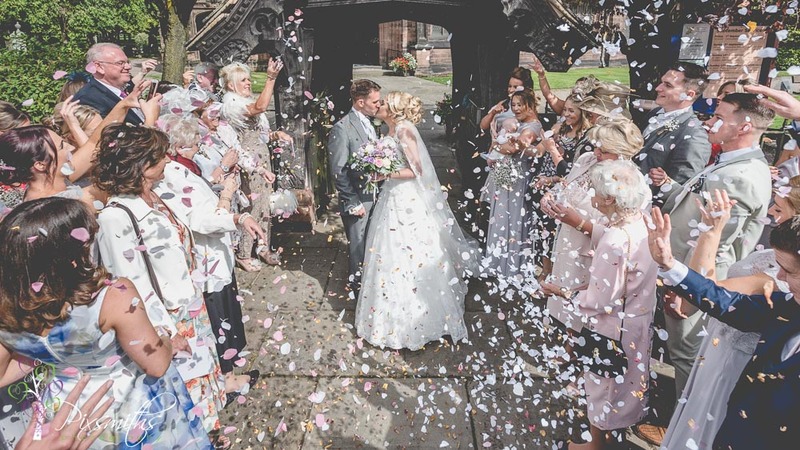 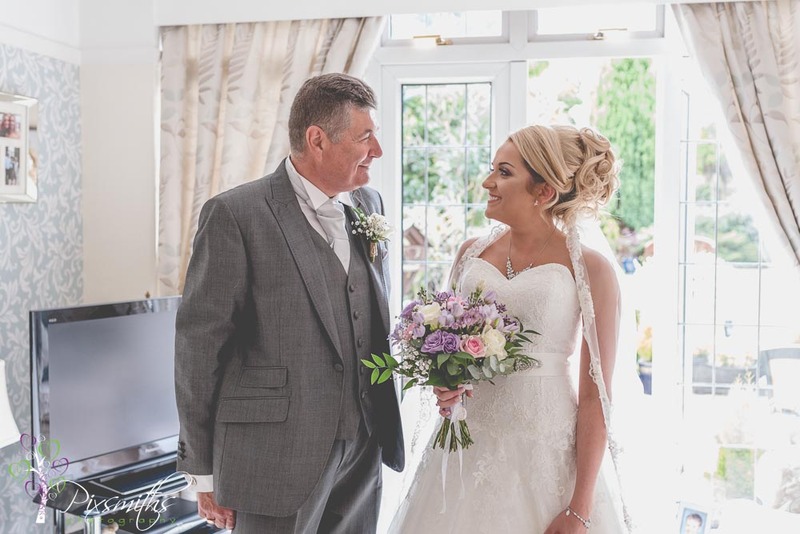 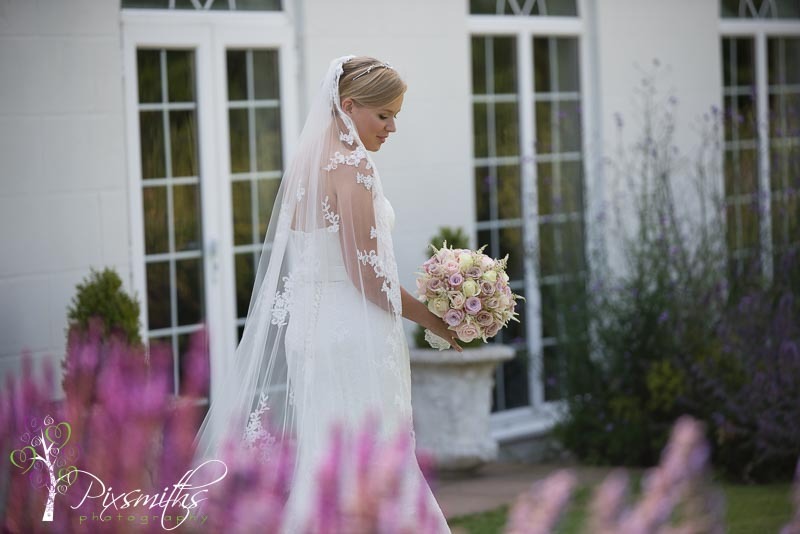 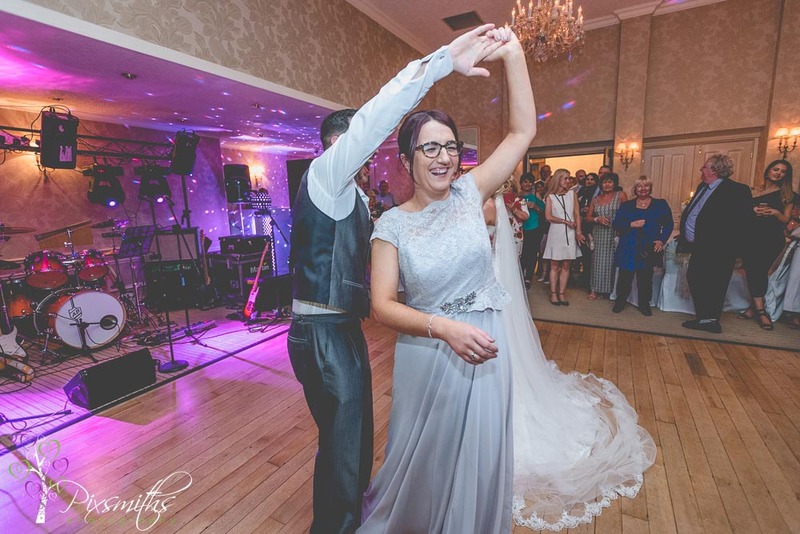 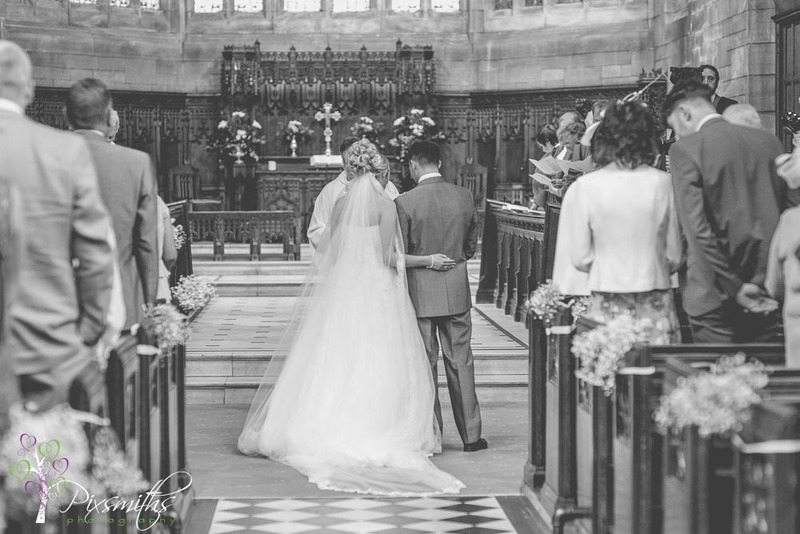 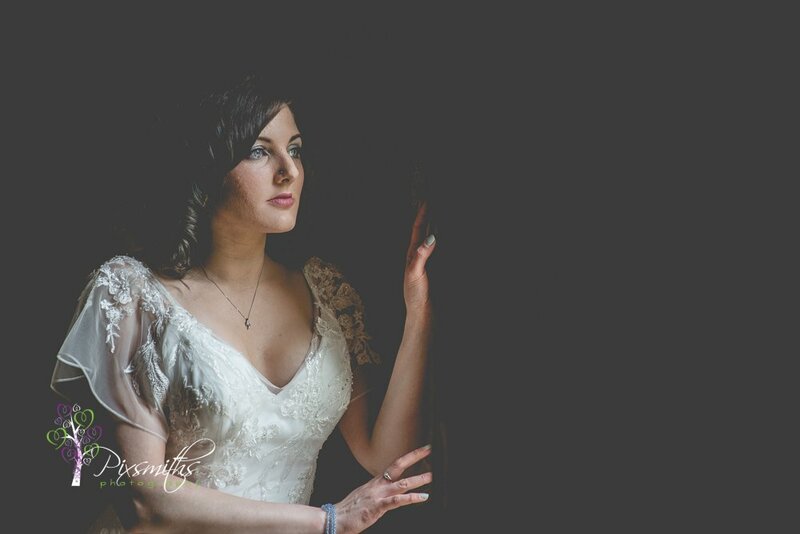 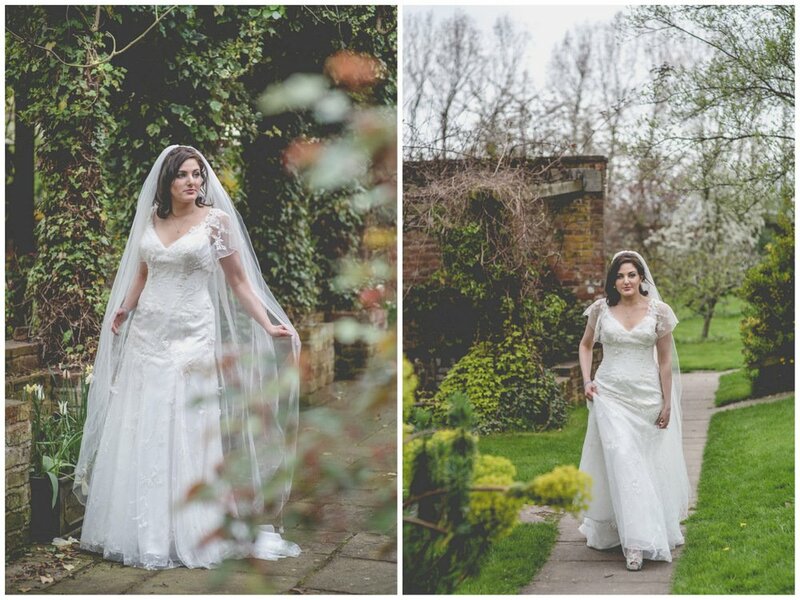 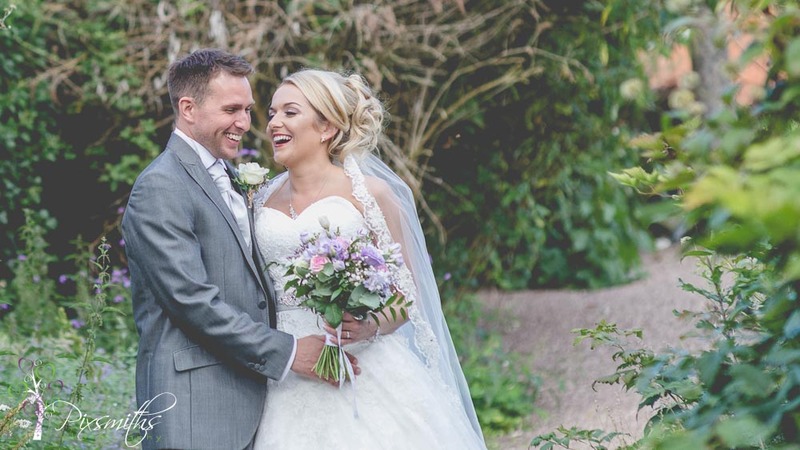 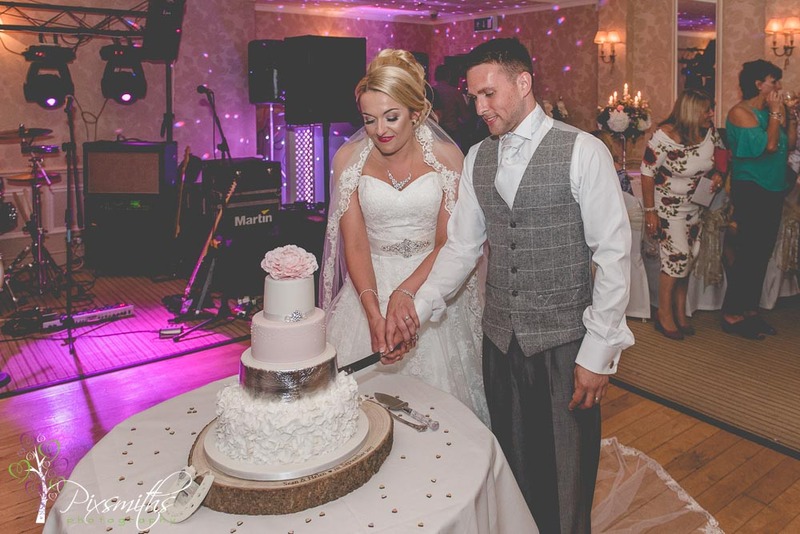 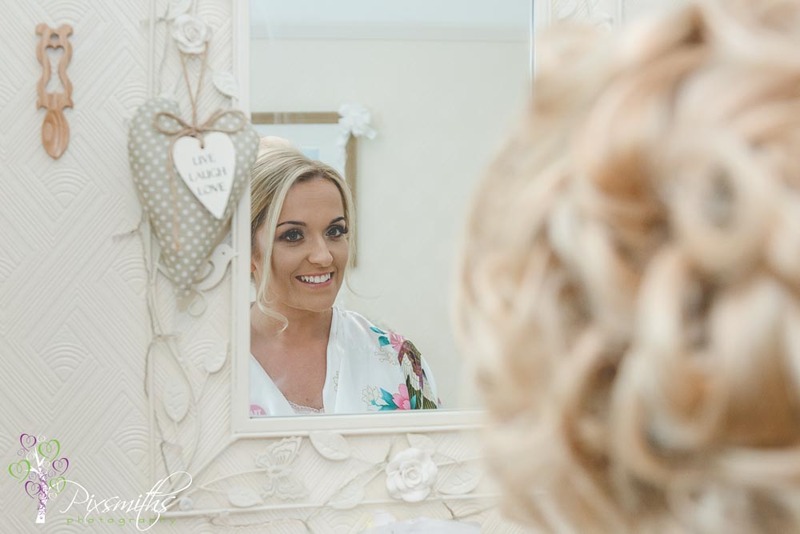 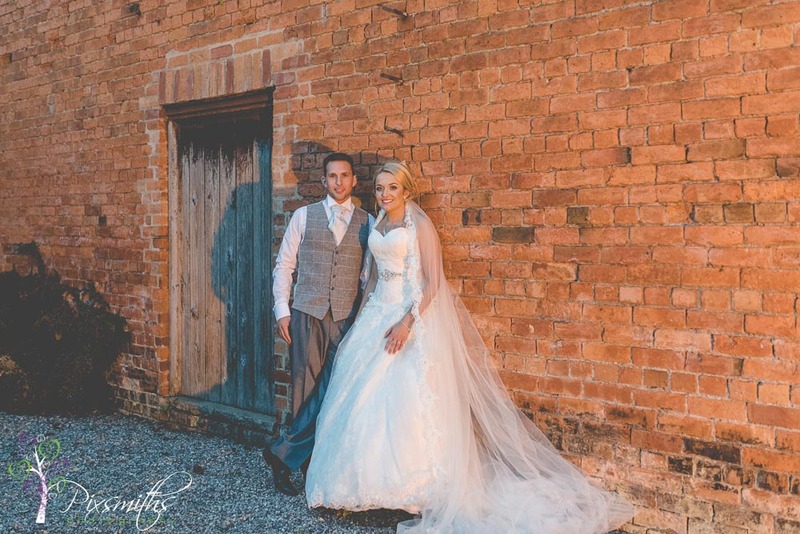 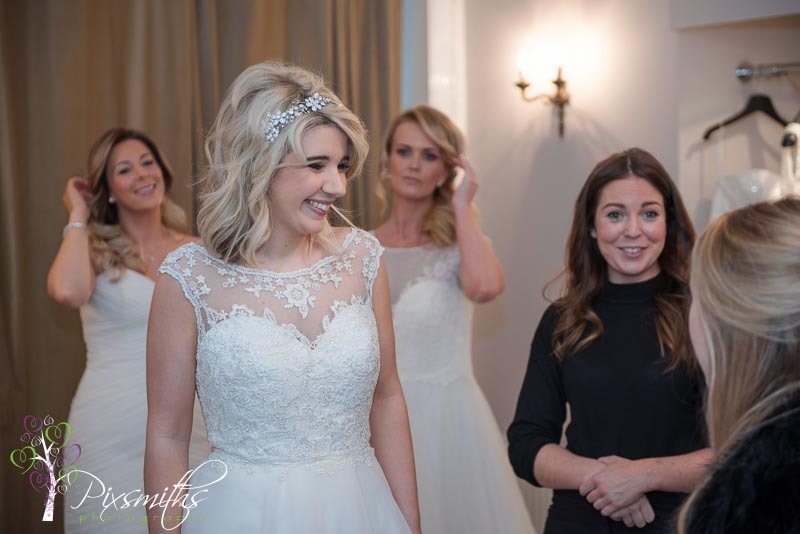 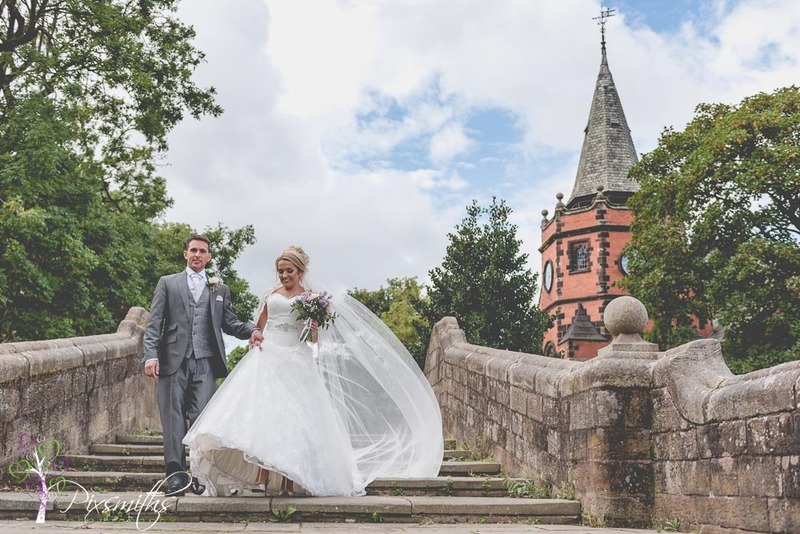 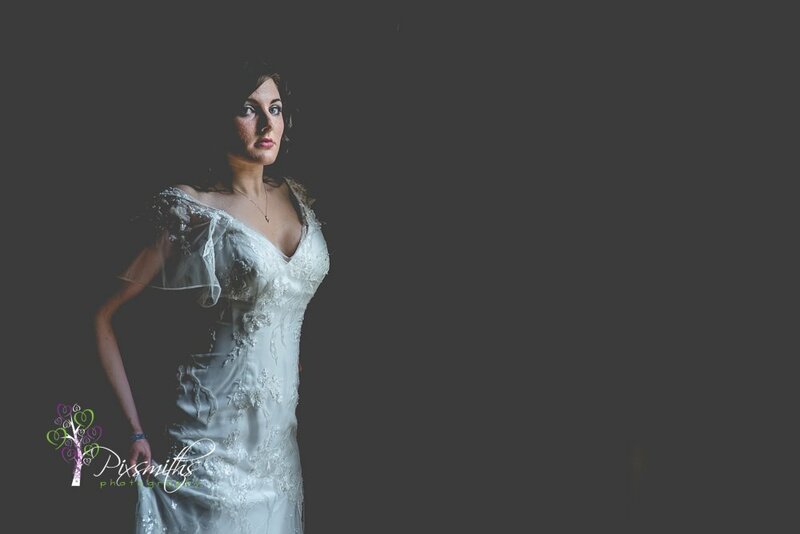 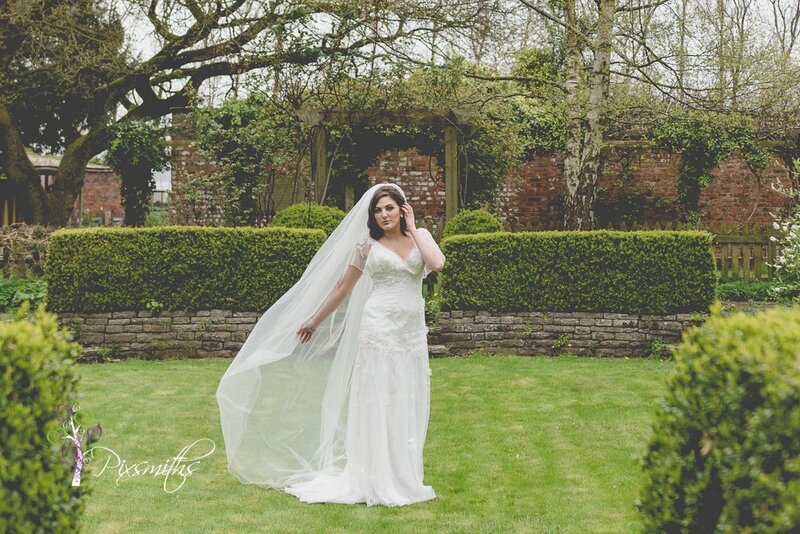 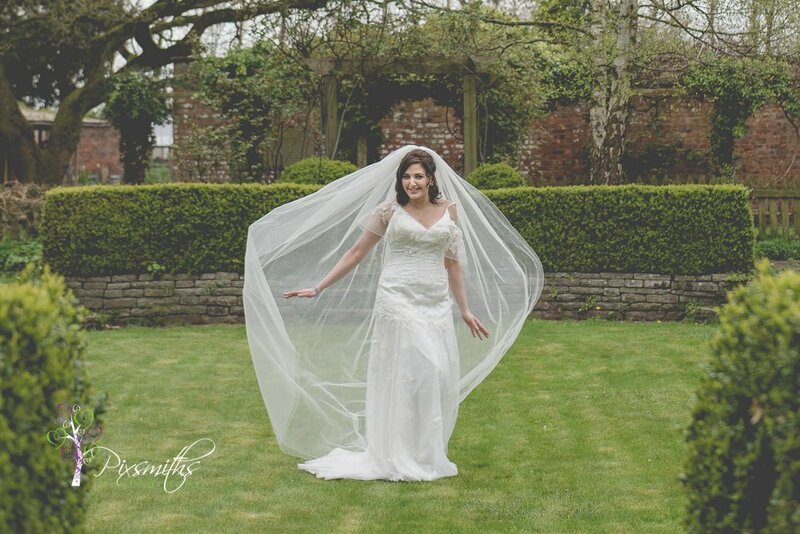 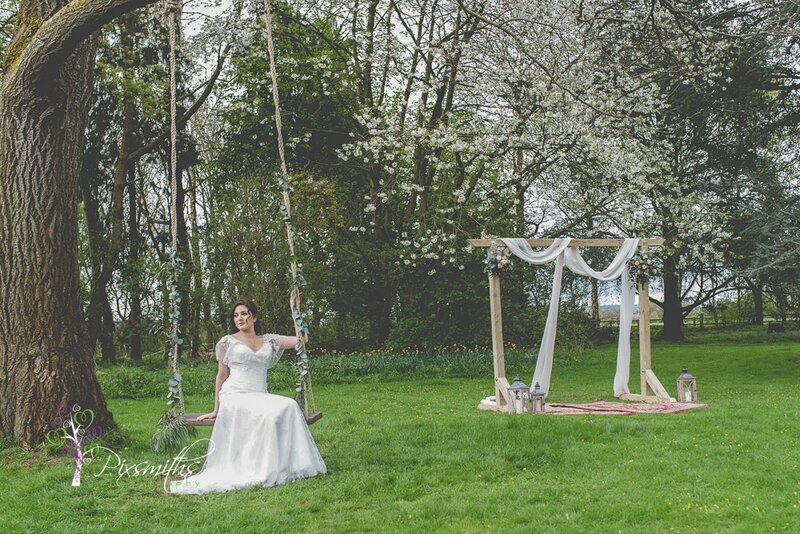 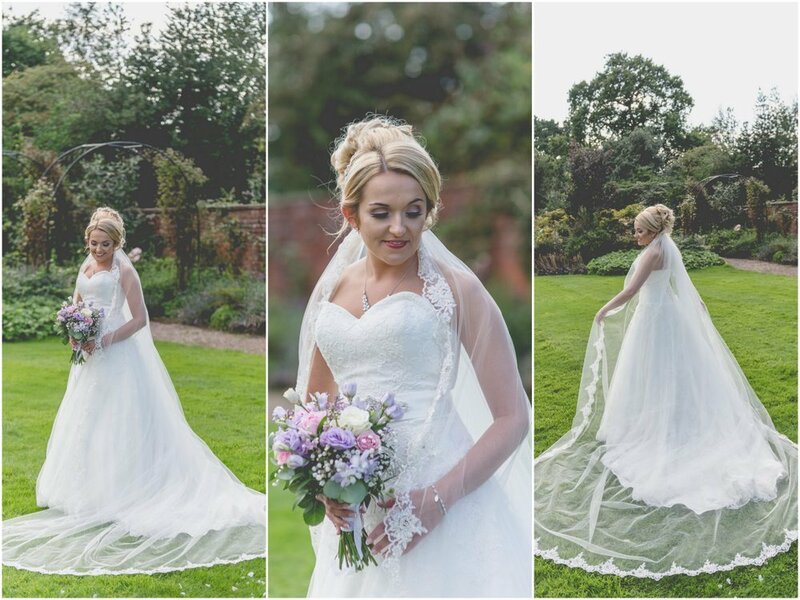 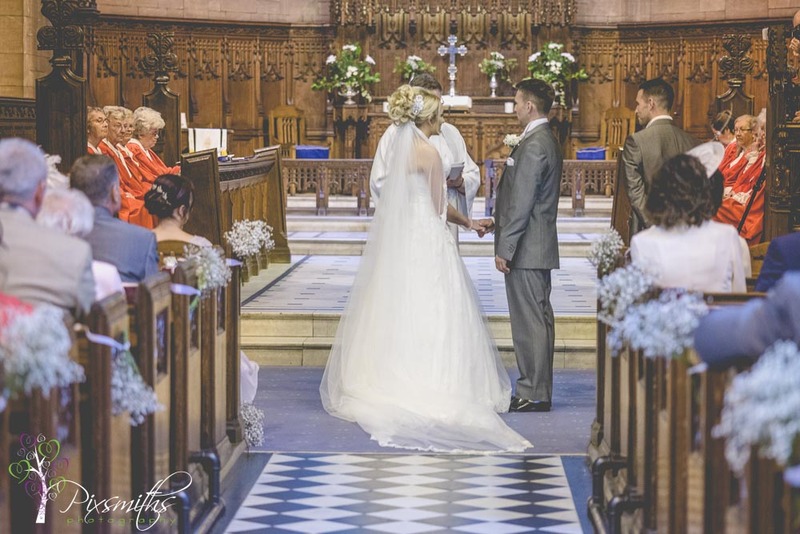 Caroline , a previous real Pixsmiths bride, was visiting the UK just in time to gladly offer to model for us and she looked exquiste in the bridal gown and lace edged veil, supplied by Stephanie and Jennifer of The Wirral Wedding House. 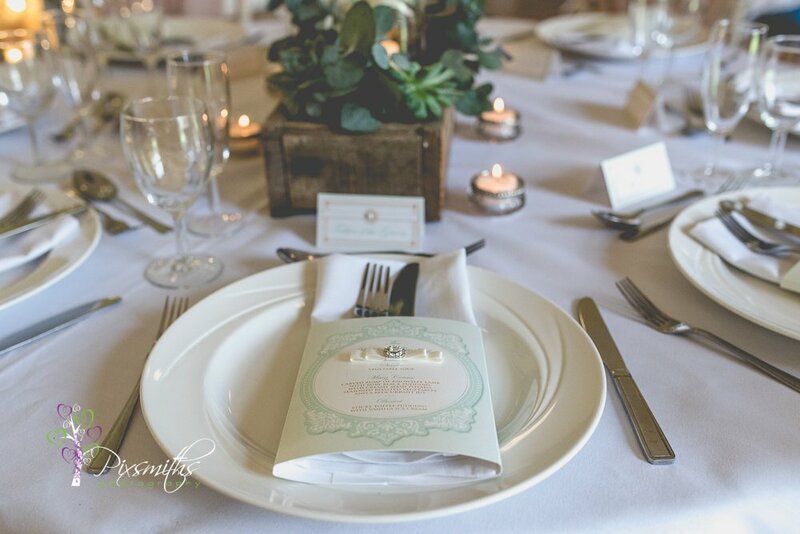 Cheryl of Pink Sherbert Designs and Claire of Moo Roo stationery created invitations place cards, menus, table numbers and a large A1 seating plan. 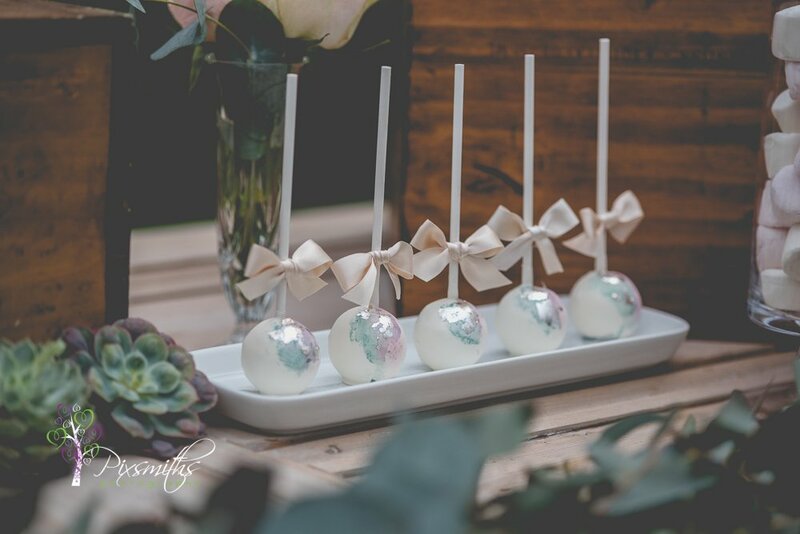 Even adding little tags to Sue’s cake pops with beautifully embellished lace and ribbon perfectly matching the theme. 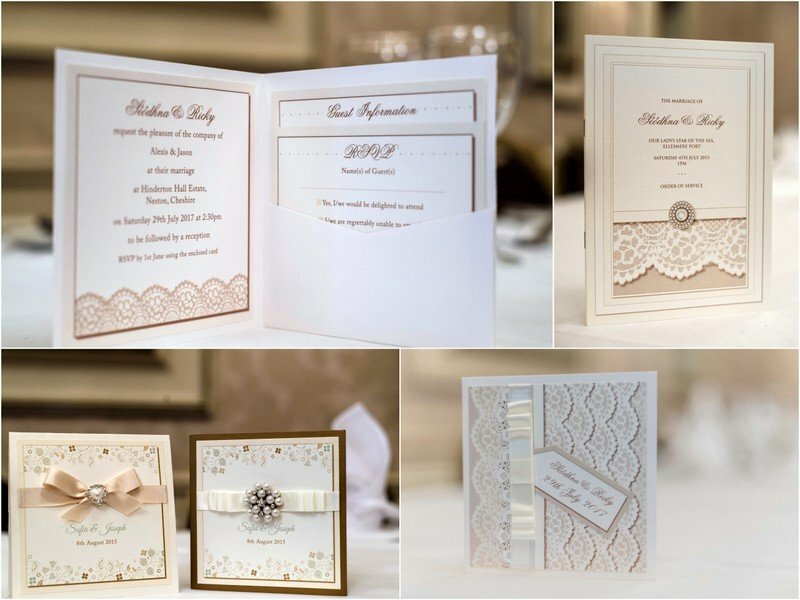 The designs incorporated a layered lace effect – a combination of real lace and printed lace with luxurious over-sized satin ribbon bows and opulent hand-finishings – sparkly, but also simple pearls showing the versatility of their work. 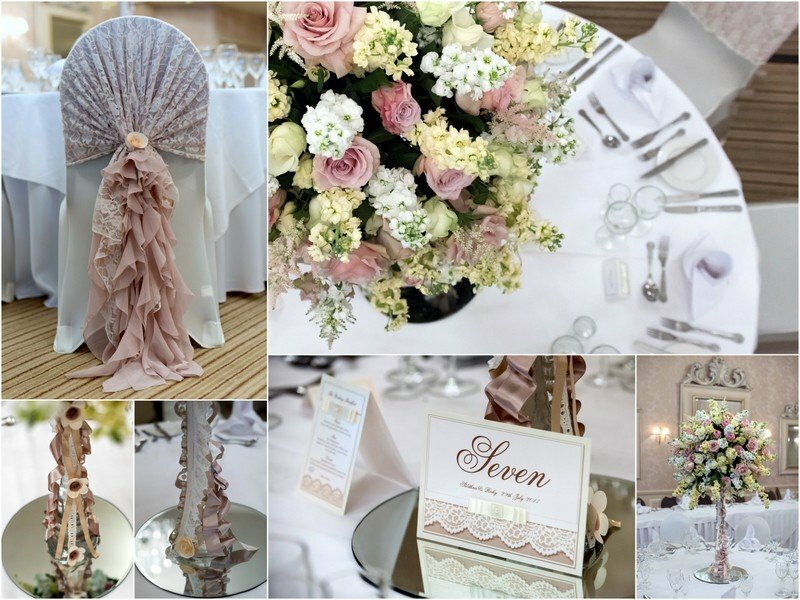 Colours were neutrals, different shades of ivory with champagnes and golds running through. 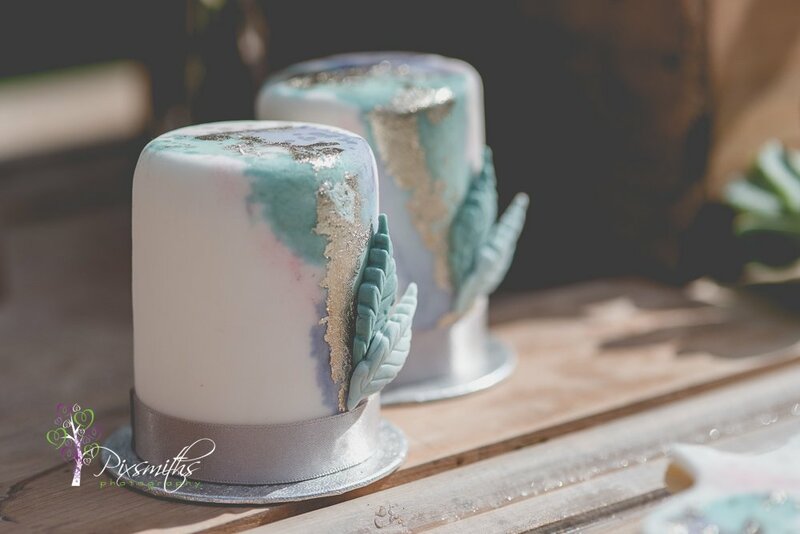 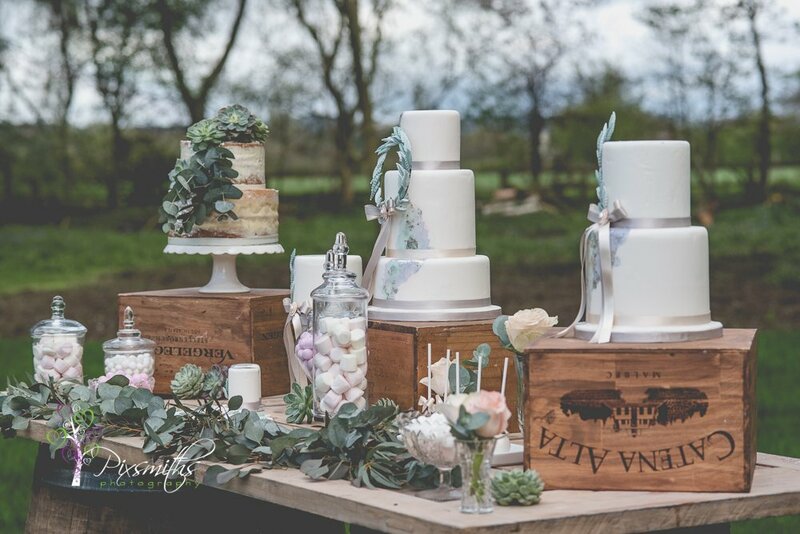 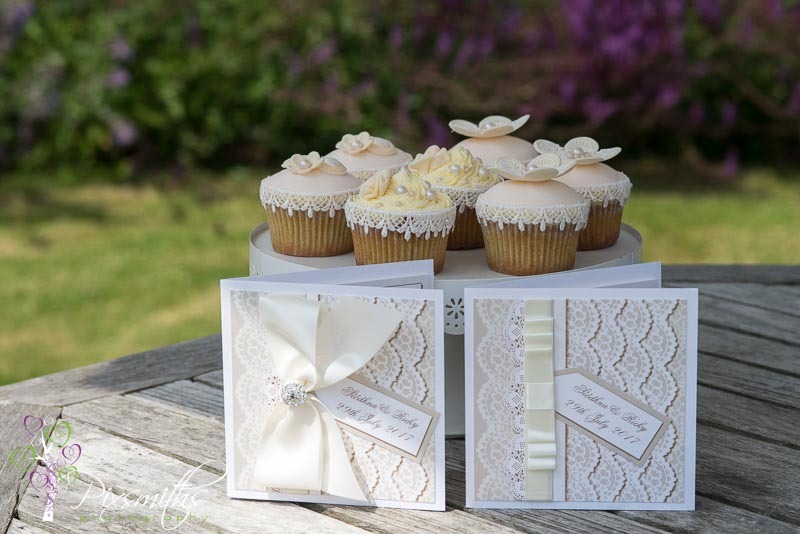 The cup cakes with their delicate lace edging looked almost too good to eat and the wedding cake was a triumph from Sue of Bella’s Cake Pantry. 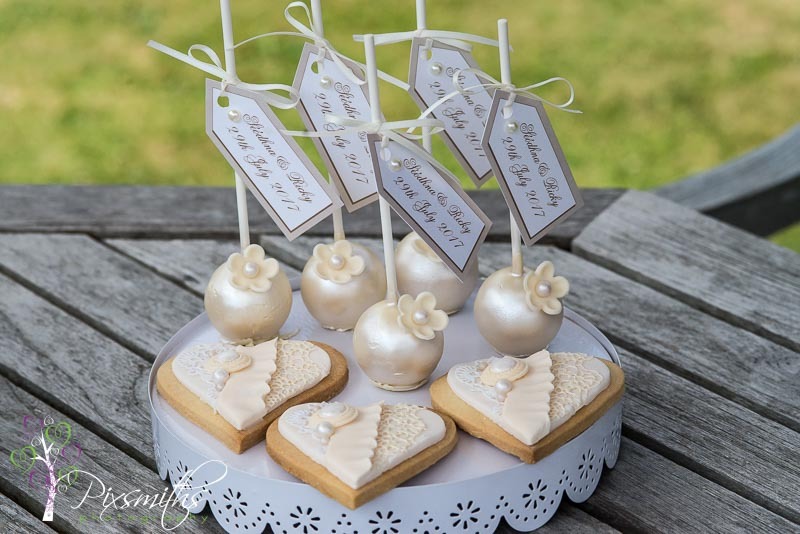 The cake pops and heart shaped biscuits with matching ruffle and lace icing make tasty wedding favours too. 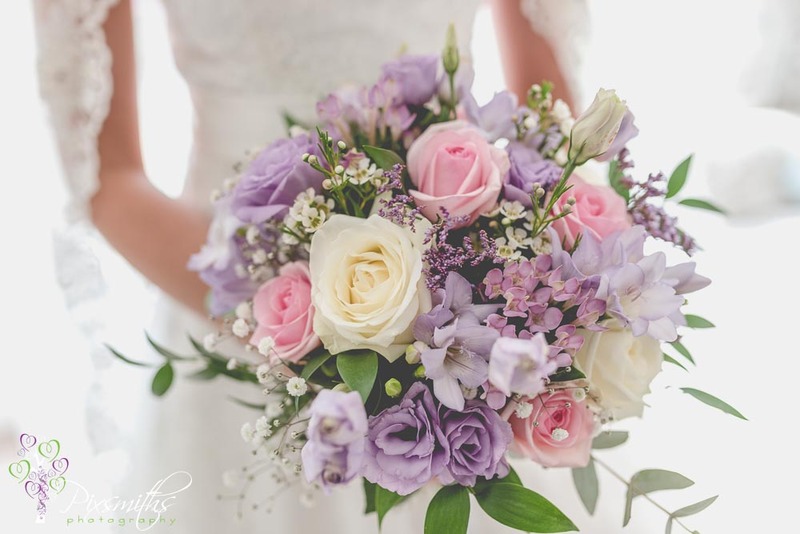 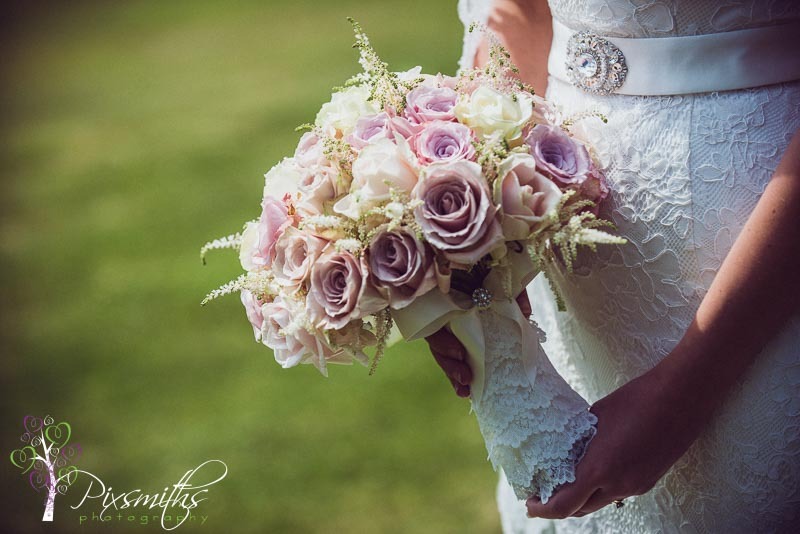 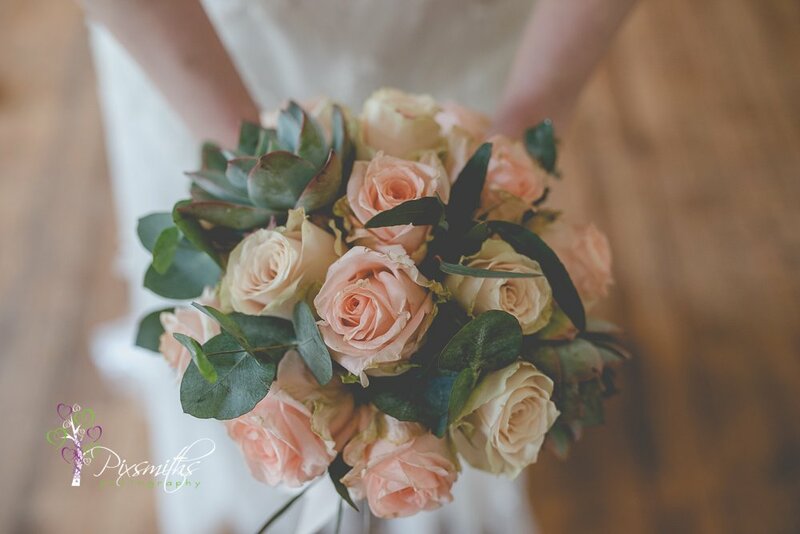 Katey from Blue Orchid Boutique surpassed herself with the gorgeous bouquet and huge centre pieces using cream and white stock, astilbe, faith, quicksand, Avalanche and sweet Avalanche roses. 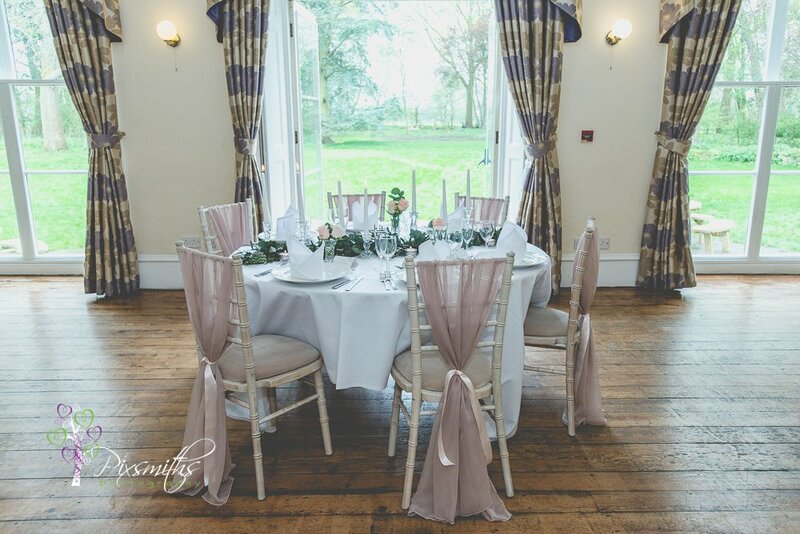 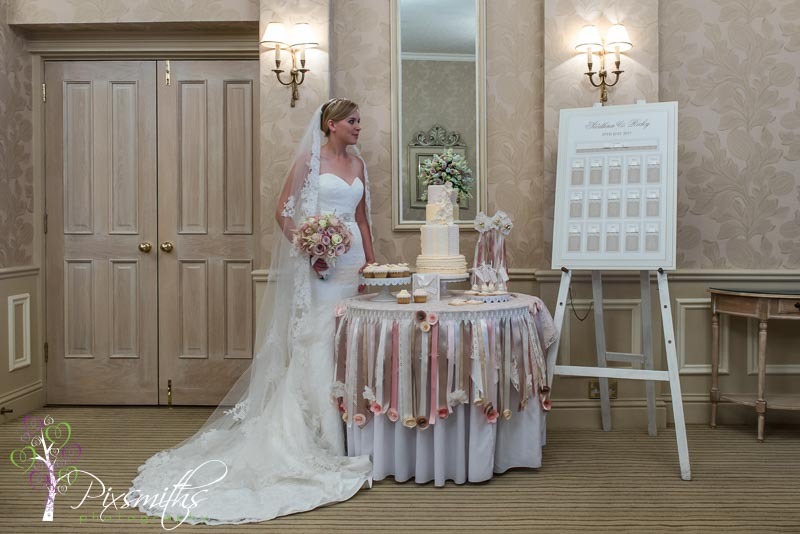 Ribbons, lace and diamante on the bouquet handle made it look so elegant.Vintage pink waterfall hoods with lace overlays and origami flower embellishment on ivory Lycra chair covers graced the chairs and complemeted the entire setting. 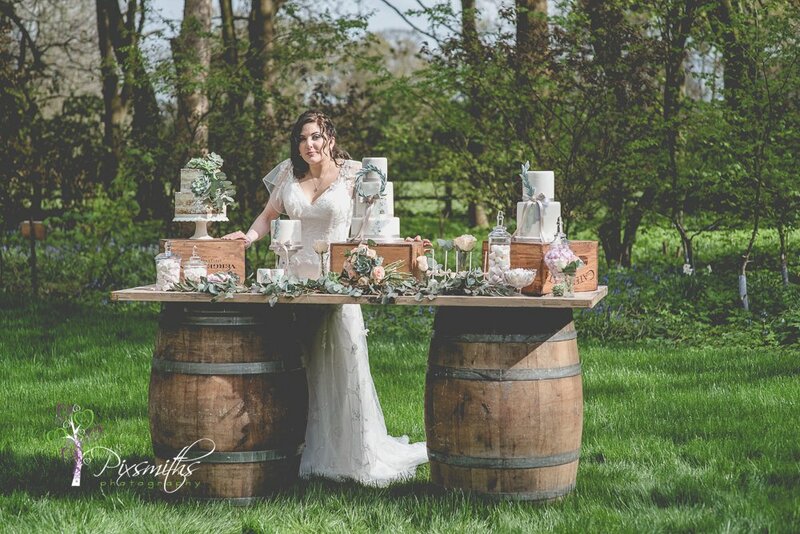 and perfectly demonstrating her venue dressing skills. 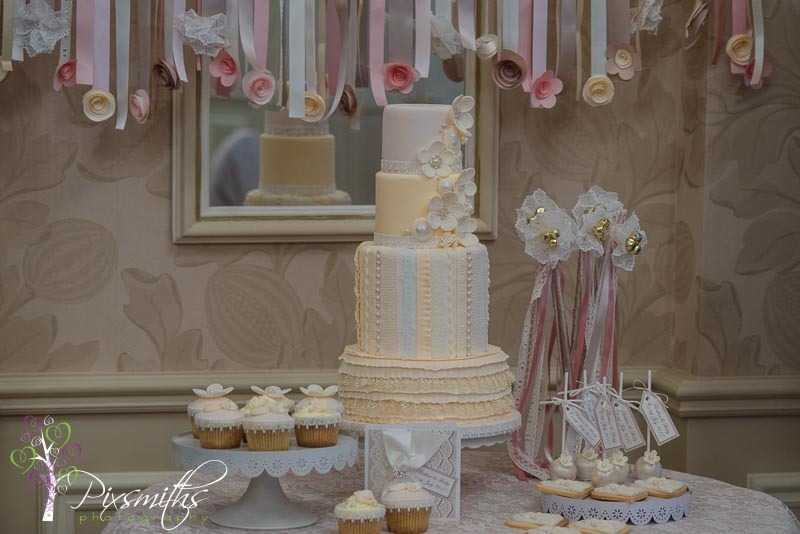 Oh and just look at the ribbon and origami flower fringe skirt which decorated the cake table – how clever is Anne to think of that! 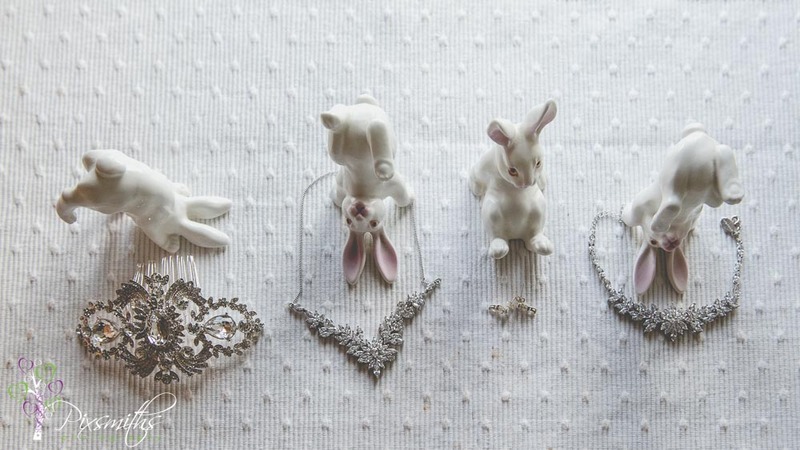 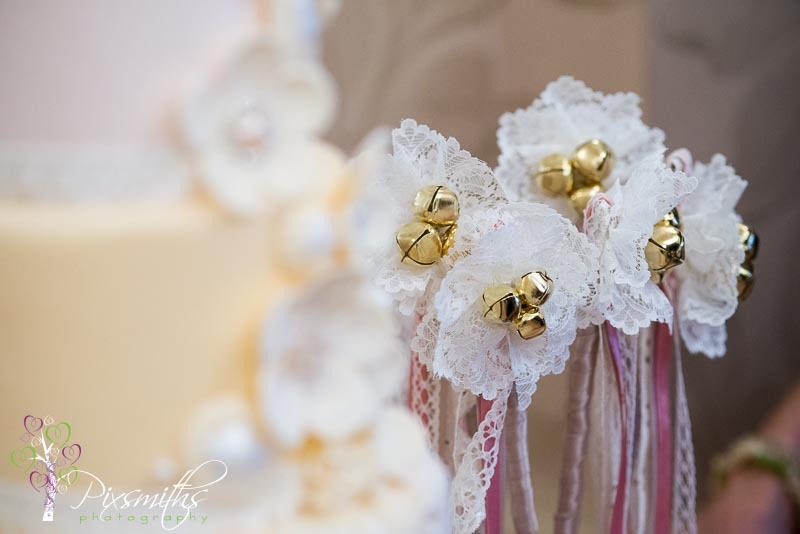 Anne also crafted wands with ribbons, bells and lace – flower girls will love these! 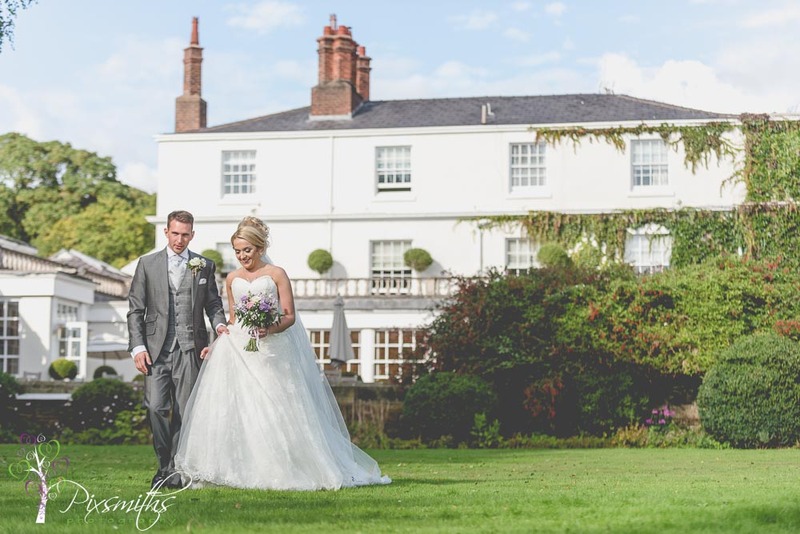 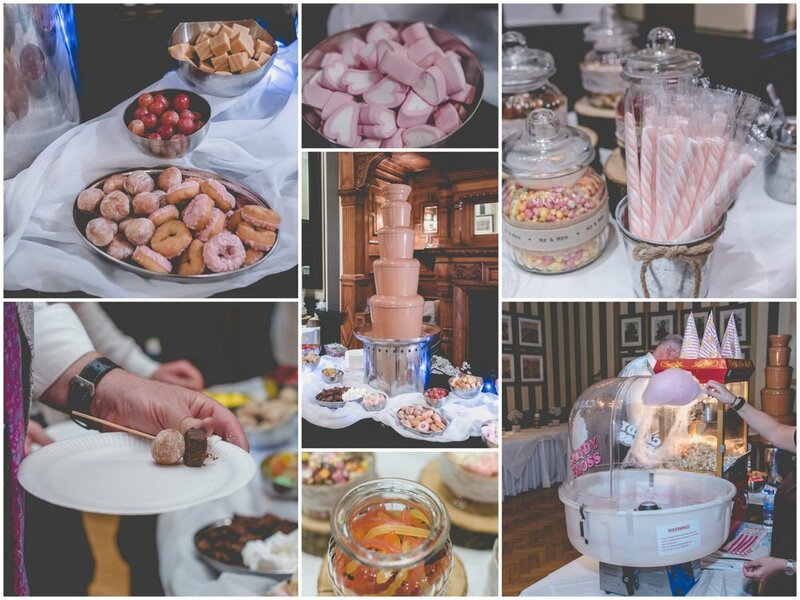 A big thank you to the owners and management of Rowton Hall Hotel for making their beautiful venue open to us. 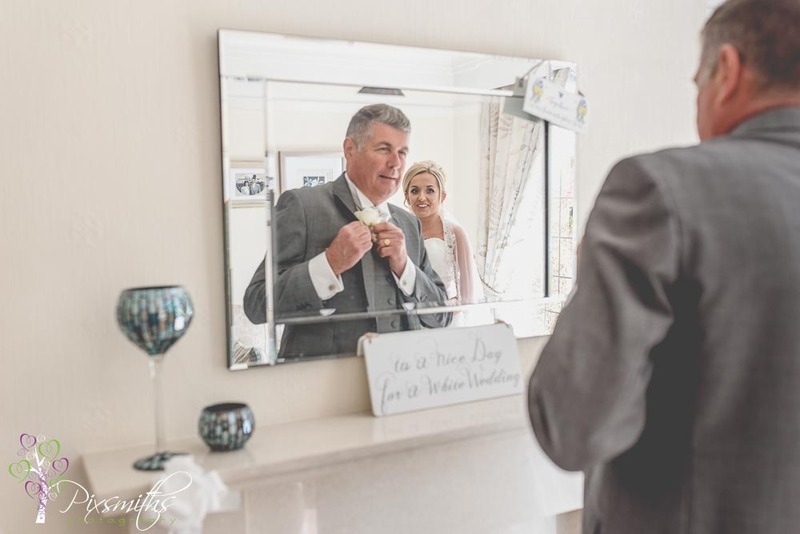 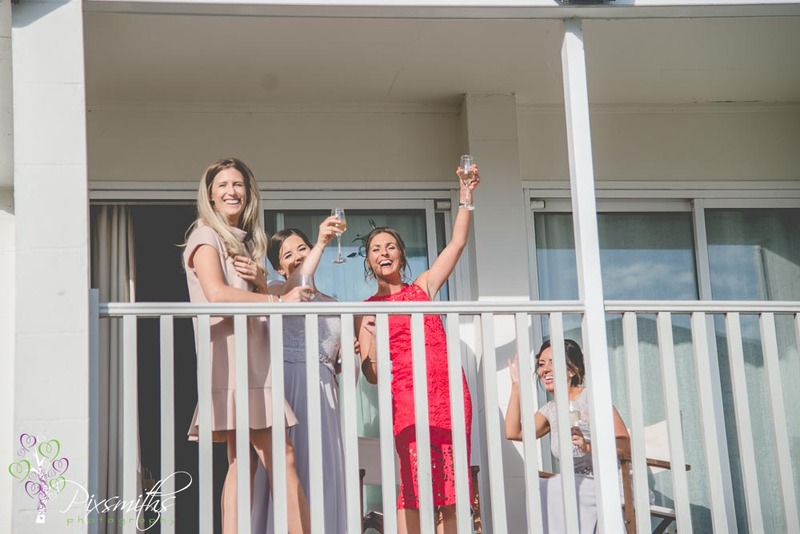 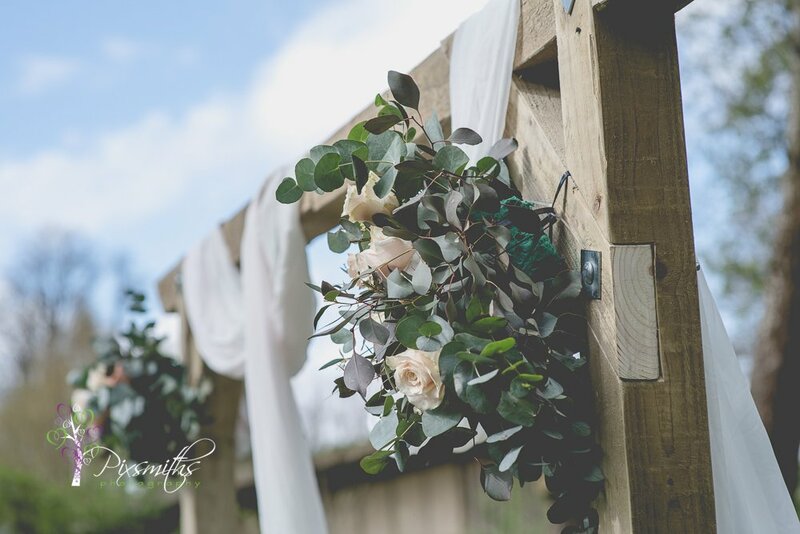 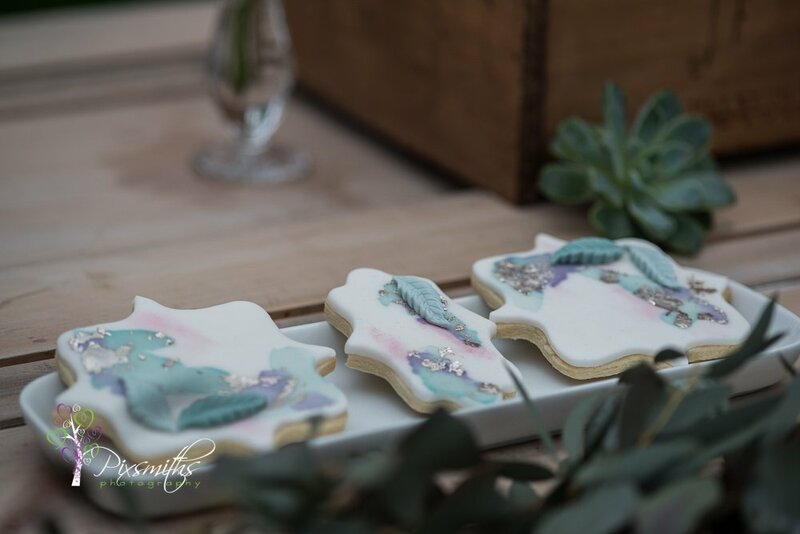 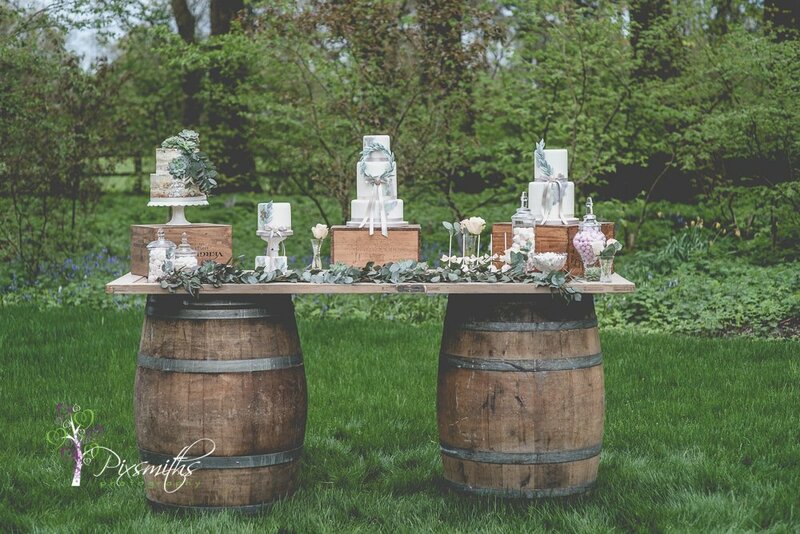 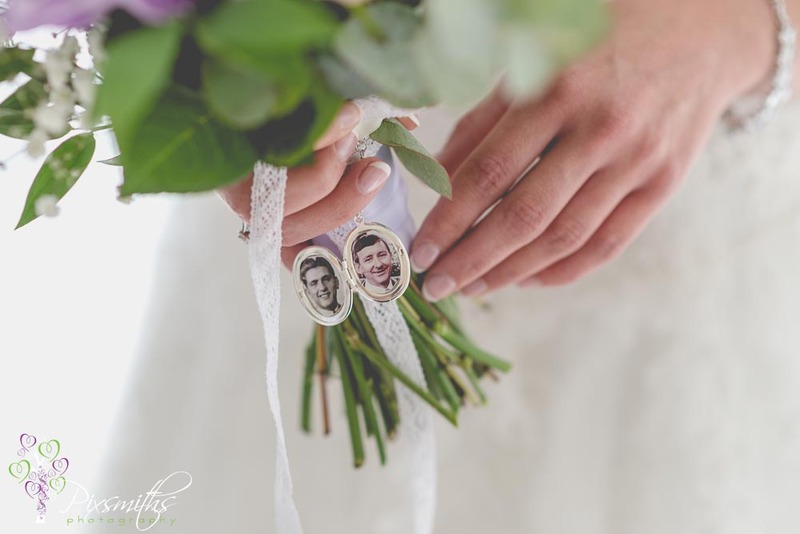 We really enjoy getting creative with these styled shoots and even more so with your wedding plans to create your perfect theme and day for you. 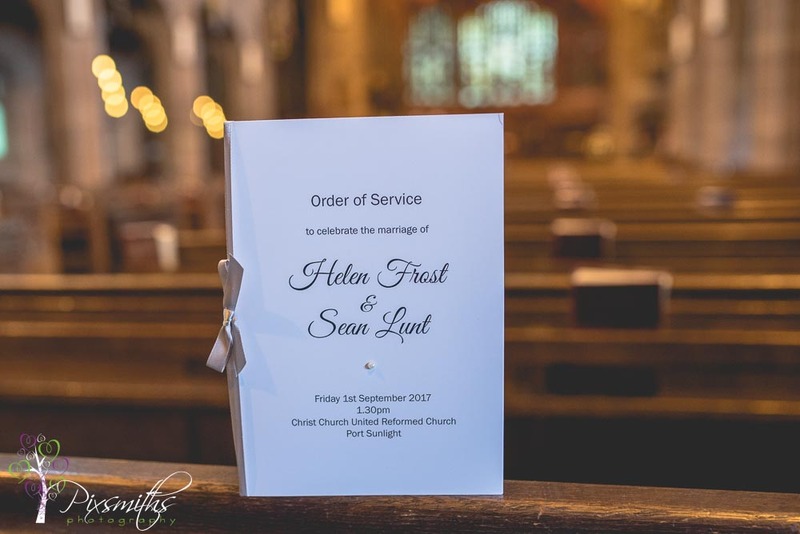 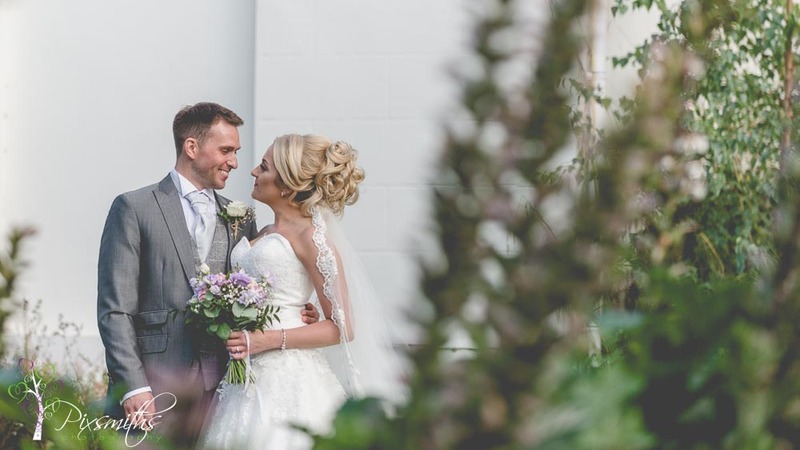 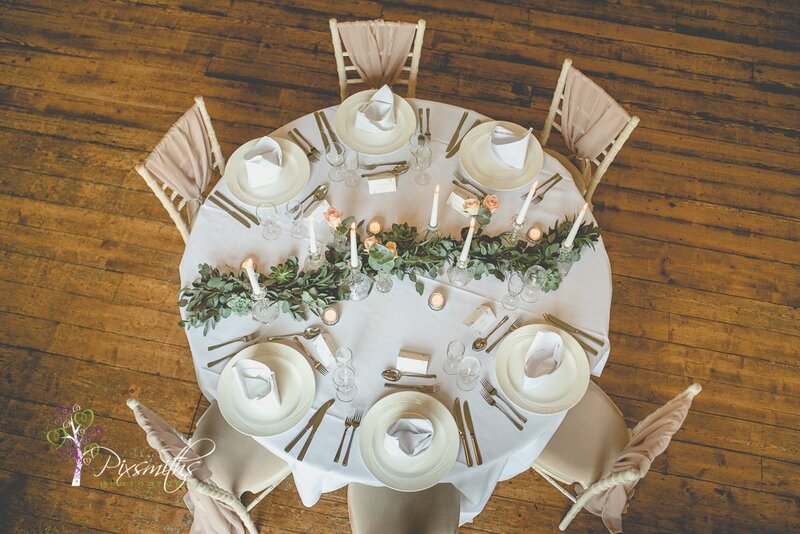 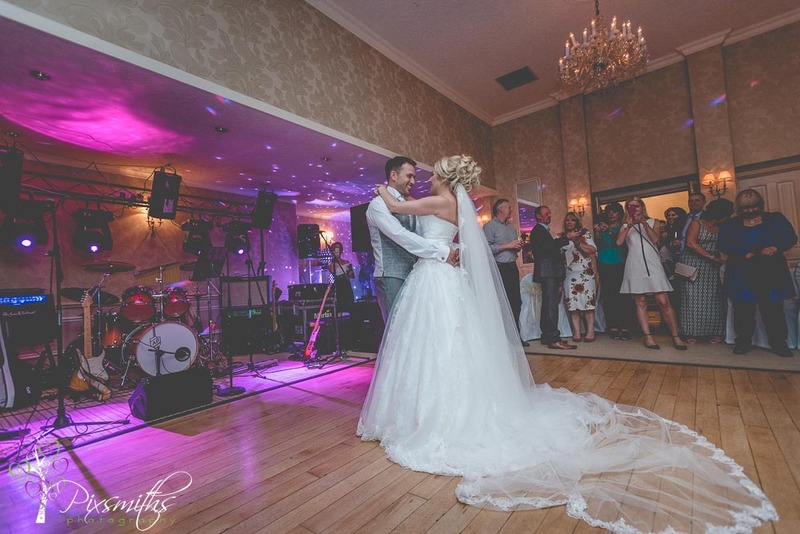 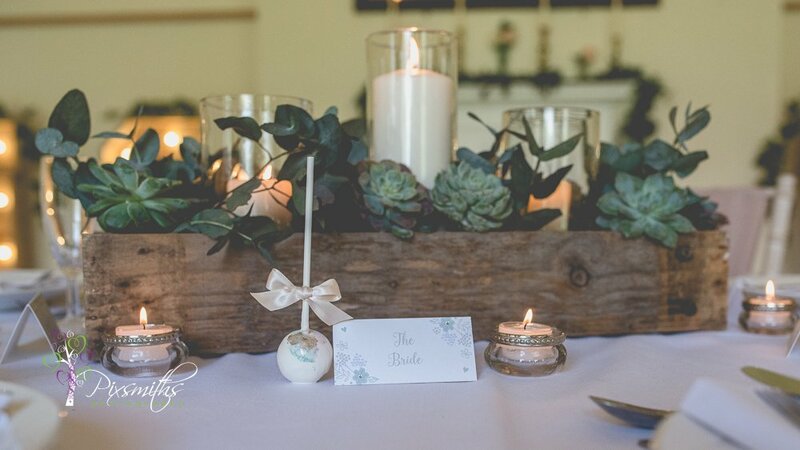 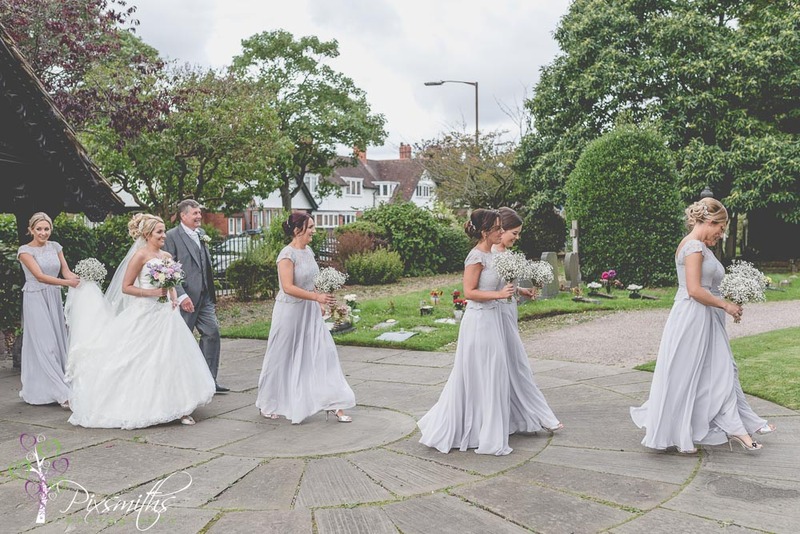 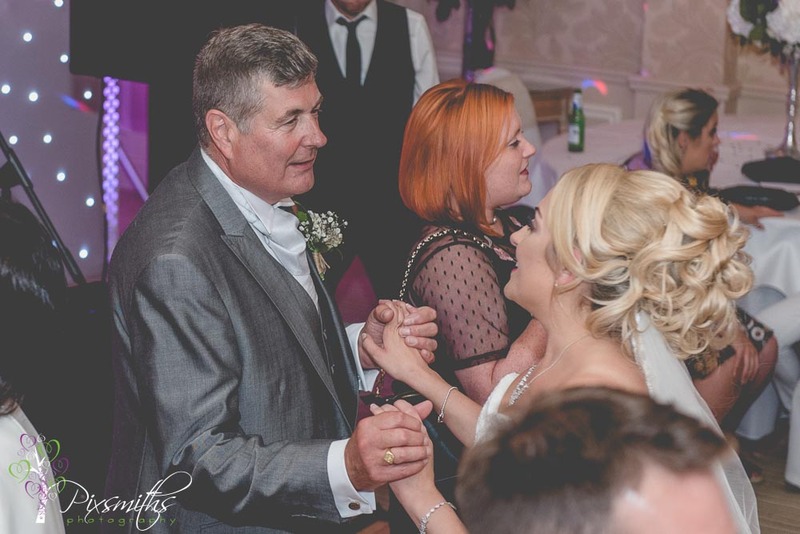 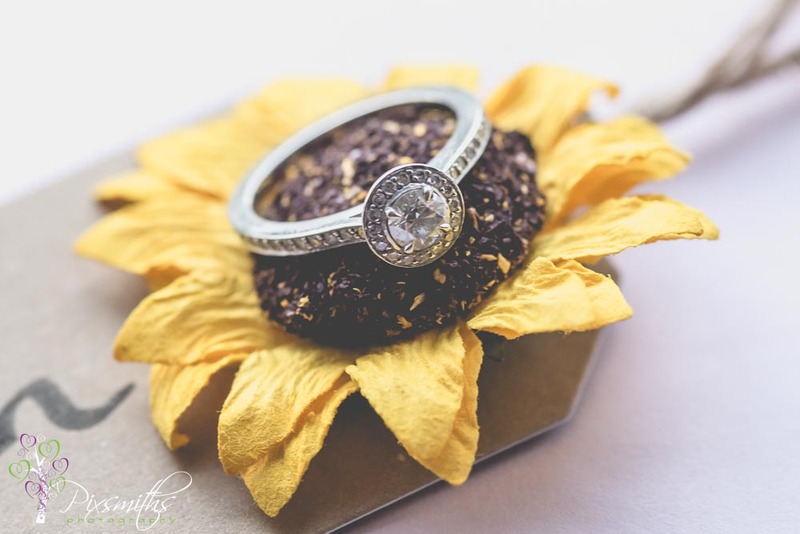 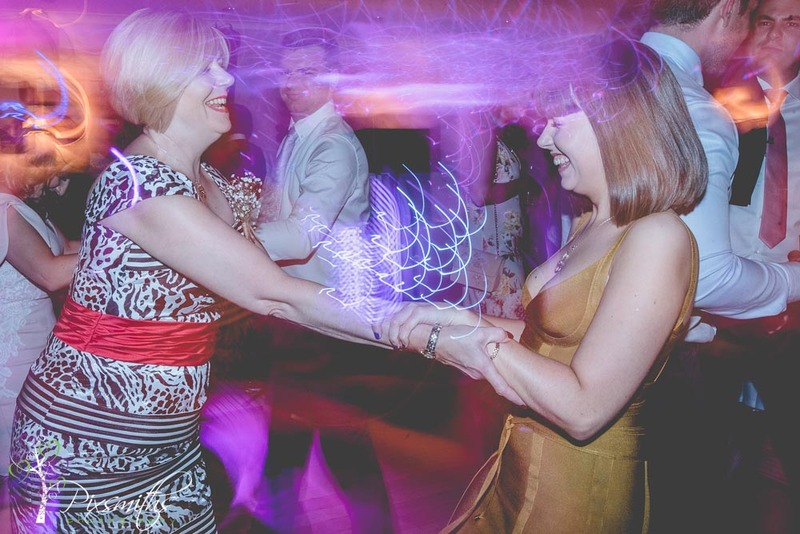 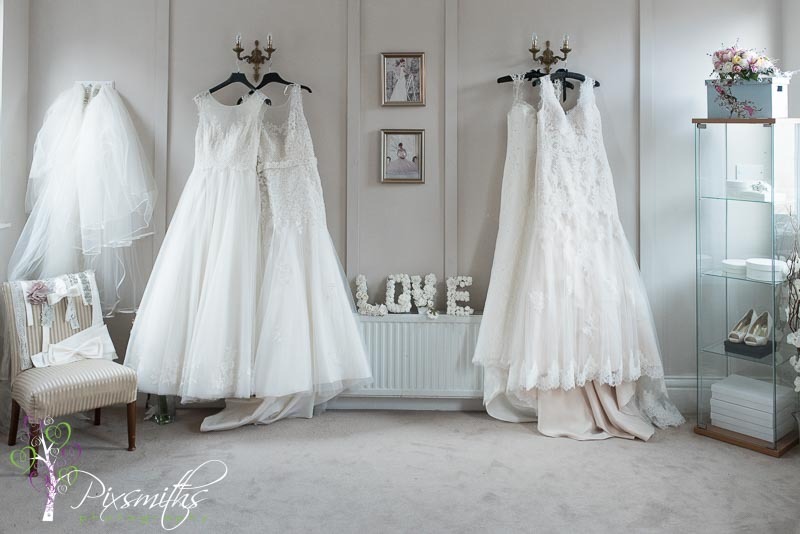 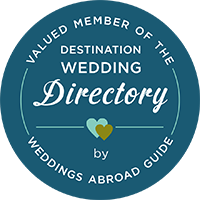 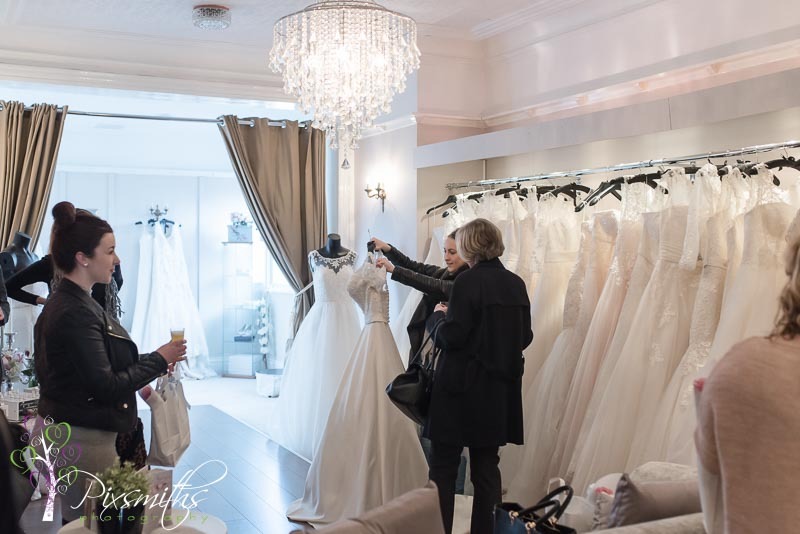 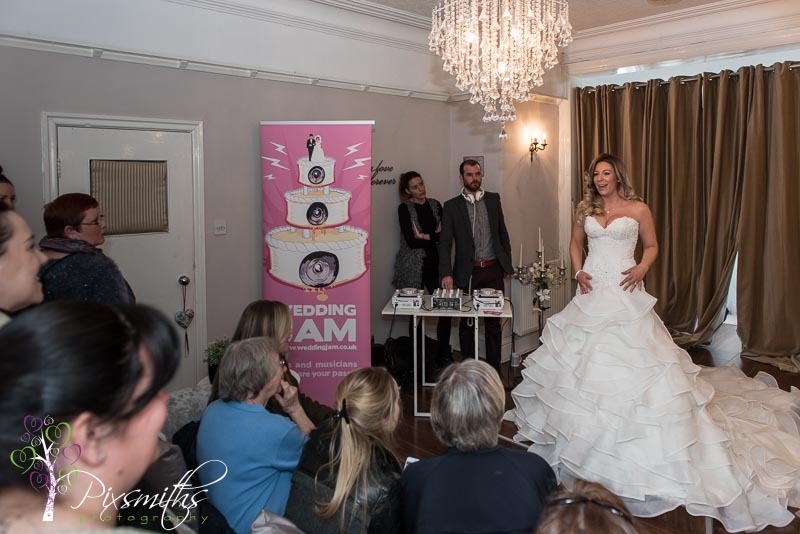 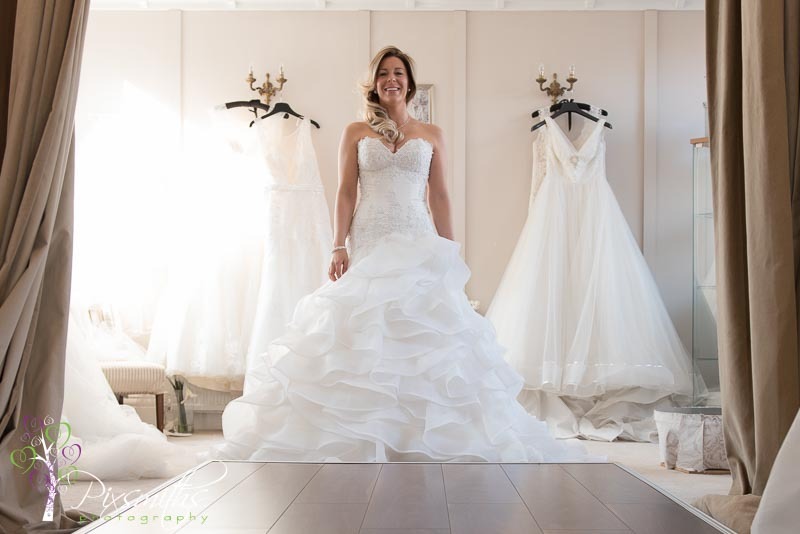 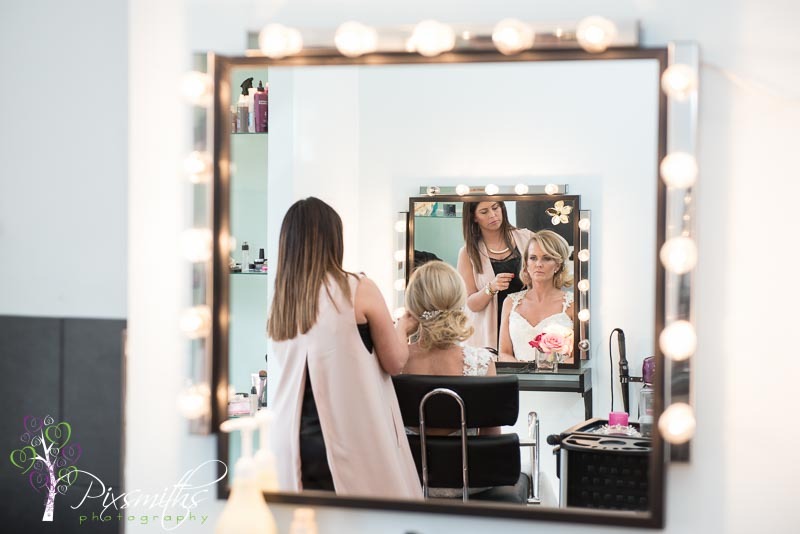 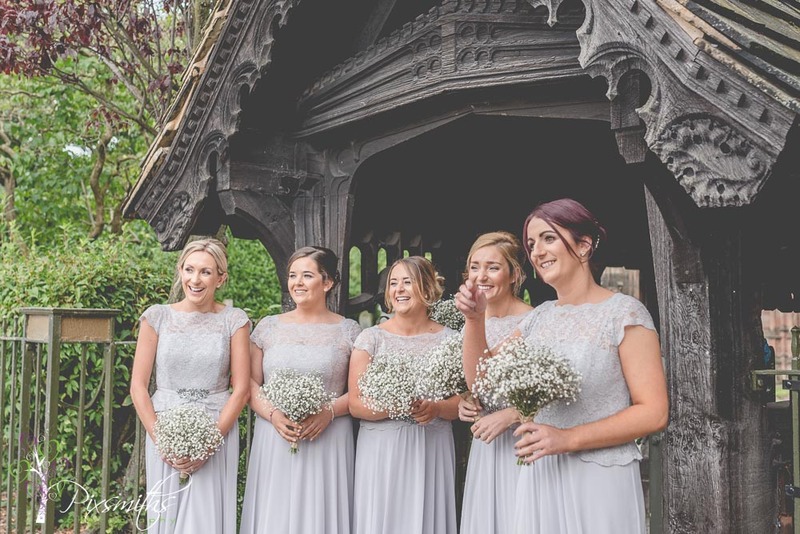 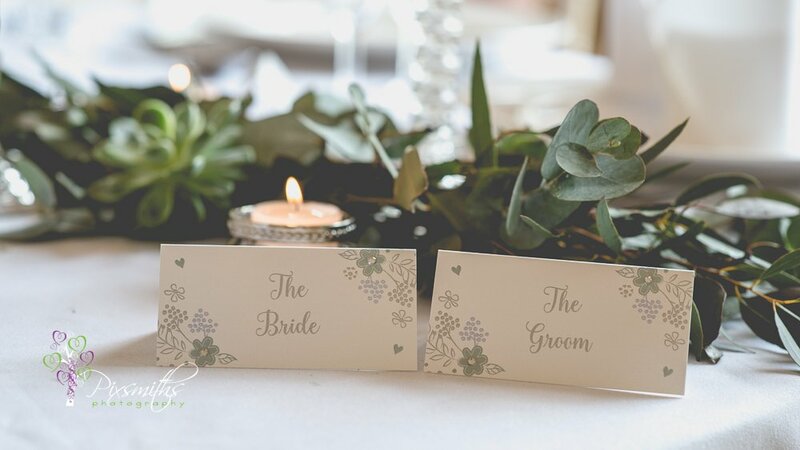 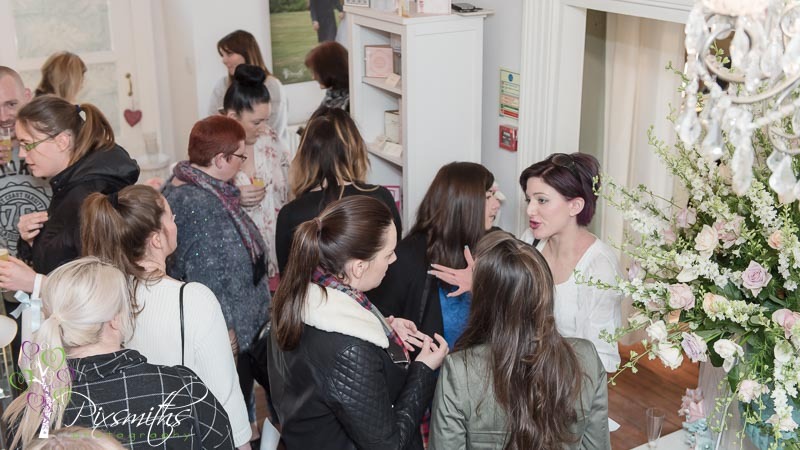 Consults with suppliers can be made with individual suppliers, at the Blue Orchid Boutique in Hoylake or Wirral Wedding House in New Brighton but Why not set up an appointment to see us jointly and get your wedding planning off to a great start and to save you time. 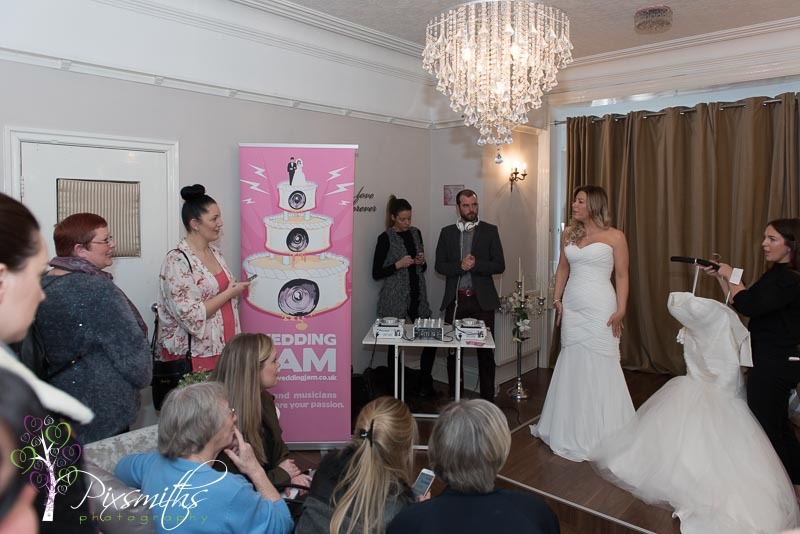 Watch out for more shoots coming up in the future and our open events – the last one was so well attended it was hard to move, so don’t miss out!